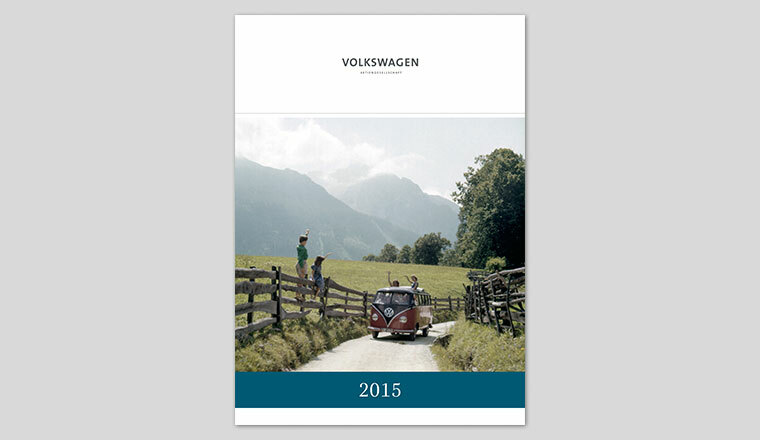 2014 was an eventful year for the AutoMuseum Volkswagen. Read up on what happened. 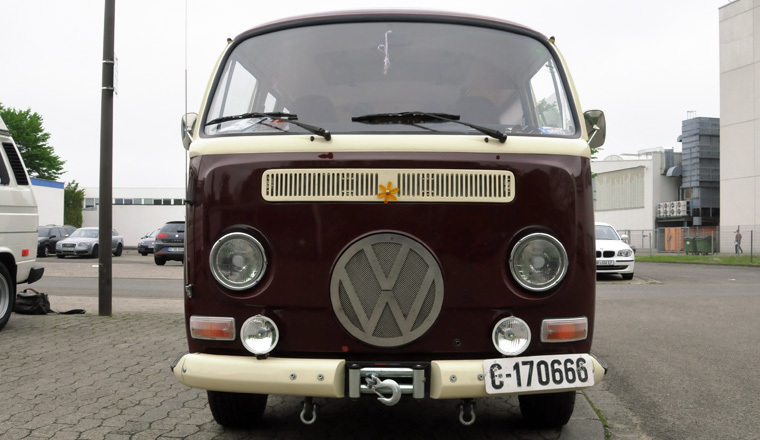 We have received and continue to receive an astonishing number of queries on the subject of "Volkswagen in the GDR": what current Volkswagen models were available in East Germany? What did the new superstructures and modifications based on the Beetle look like? How was the club scene organised and what difficulties it had to cope with in East Germany with its chronic shortages? 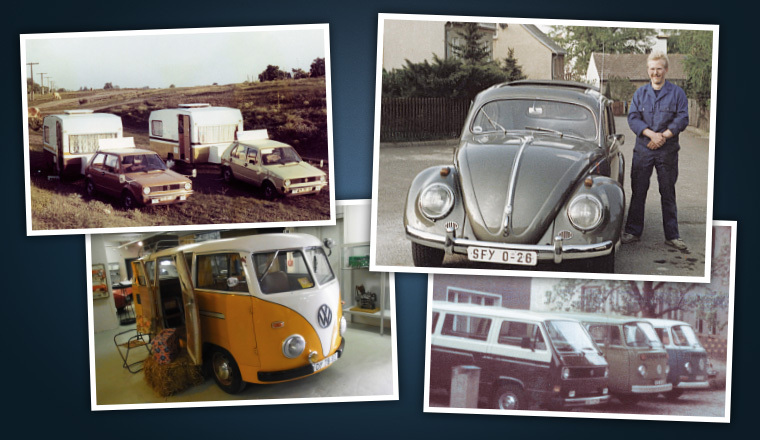 Hence our request: if you happen to have taken any photos in the former GDR during the 1950s to 1980s showing Volkswagens in East German street scenes then please send us a copy at info@automuseum-volkswagen.de. These will form the basis of a new exhibition on this topic at some point in the future. 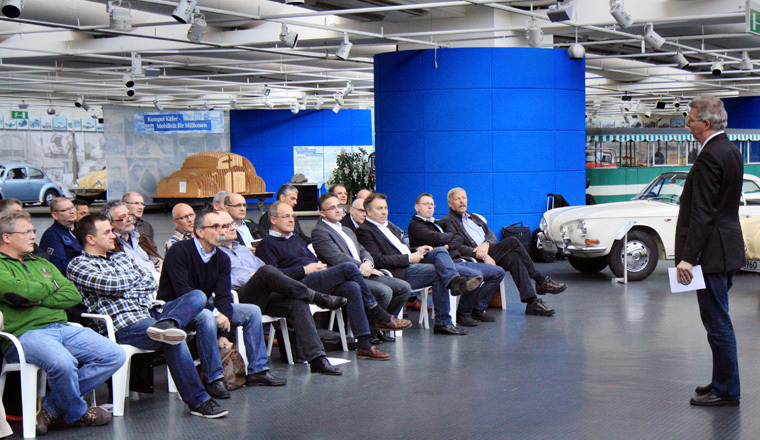 XL1 developers go back in time at the AutoMuseum. Another evening tour of the museum took place on Thursday. 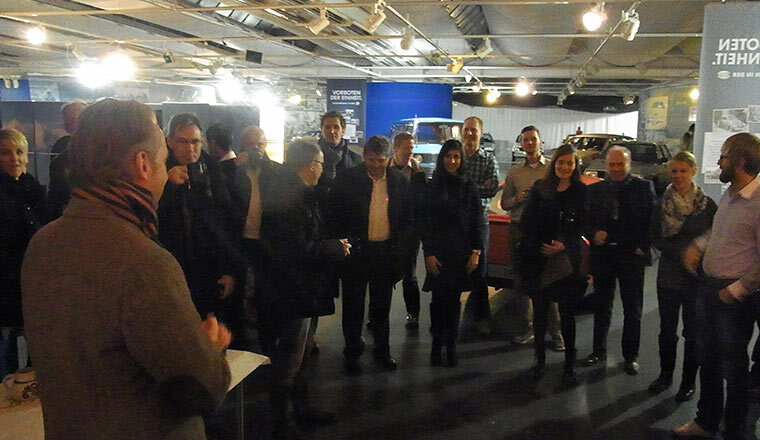 On this occasion, the museum's guests were the developers of the small super-economy vehicles ranging from the XL1 to future versions of the up! and the Polo. 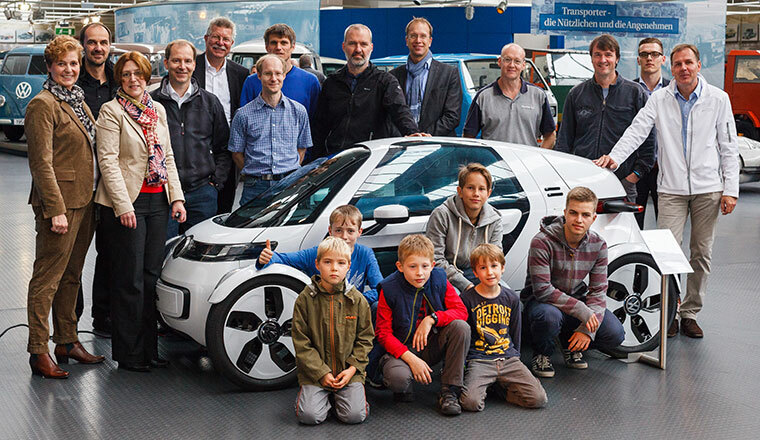 Led by Holger Bock, 30 colleagues whose work has focussed on the small cars of the future enjoyed a journey back to a time when most car manufacturers' level of ecological thinking could be described as rudimentary at best. 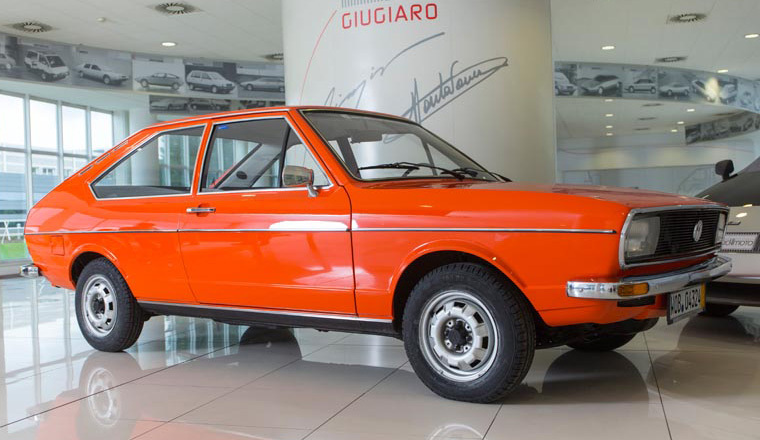 But Volkswagen was already working on electric cars even in the 1970s, and models from that period are on display in the museum. Incidentally, this evening's visitors were the team behind the XL1 unveiled at the Qatar Auto Show in 2011, which now has pride of place in the east wing of the building, alongside the super-efficient "1-litre" car from 2001 with its legendary tandem seating (so-called because it consumed a mere 1 litre of fuel per 100 km: equivalent to 313 mpg). 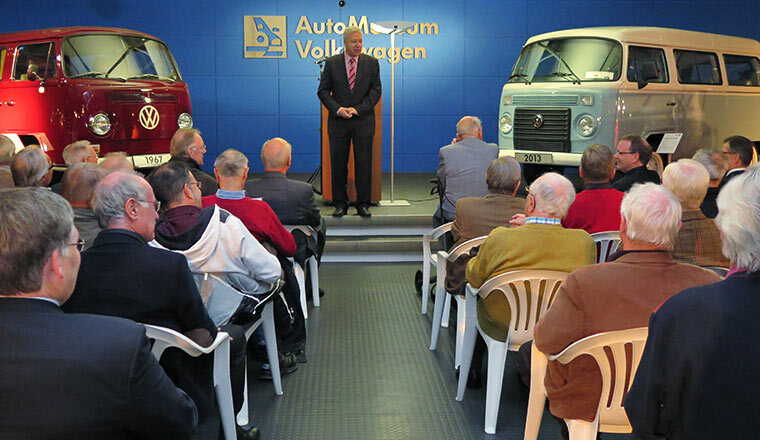 Contemporary Witnesses to the Volkswagen Engine Business at the AutoMuseum. 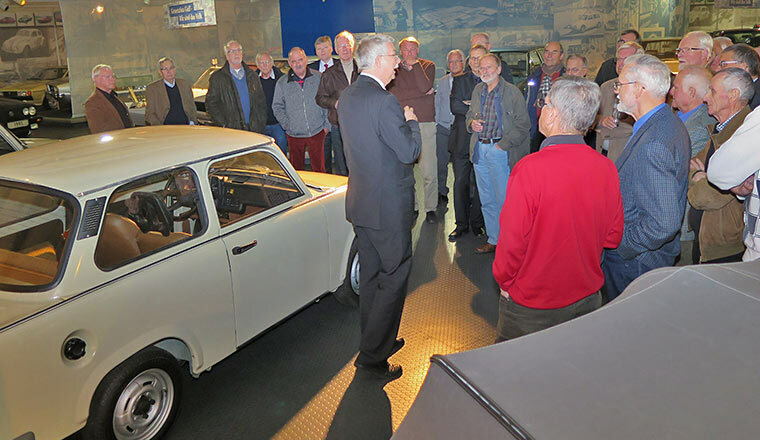 As part of the "Harbinger of the (German) reunification – Volkswagen in the GDR" special exhibition, the Historic Communication and Volkswagen Management Association (Volkswagen Executive Committee) invited an audience of 60 managers to the AutoMuseum on a Friday evening. 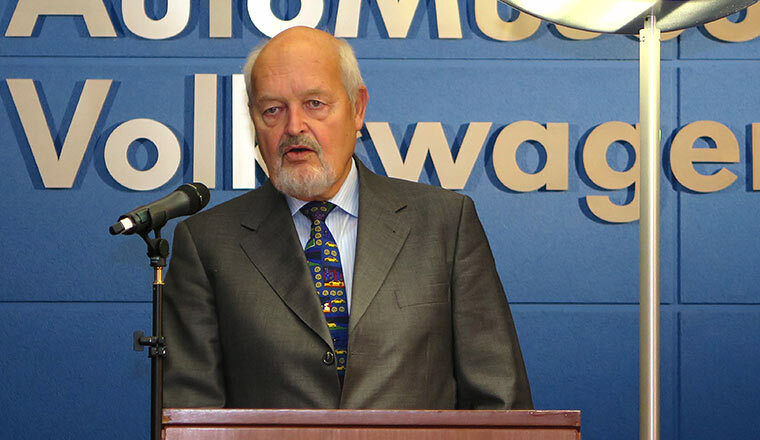 There, Dirk Bothe, formerly working for Foreign Judiciaries Volkswagen AG (pictured with beard), and Henry Mehnert, former Head of Labour Economics at the VEB Barkas-Works, gave a presentation on a contract concluded in 1984 under which part of Volkswagen's engine production operation was outsourced to Chemnitz (known at the time as Karl-Marx-Stadt). Rather than simply reporting the hard facts of the case, the presenters and other contemporary witnesses also recounted a wealth of anecdotes replete with human interest. Tales were told of the efforts of the Saxon travel cadre delegates to speak standard German, and of the preferential treatment of the Volkswagen managers by the GDR border guards, and about the peremptory friendliness of the Braunschweig neighbours into whose hands one Volkswagen engineer in a Trabant test vehicle inadvertently fell on the 10th of November 1989 (the day after the fall of the Berlin Wall) and whom they relentlessly plied with drinks... A completely new take on German-German history! 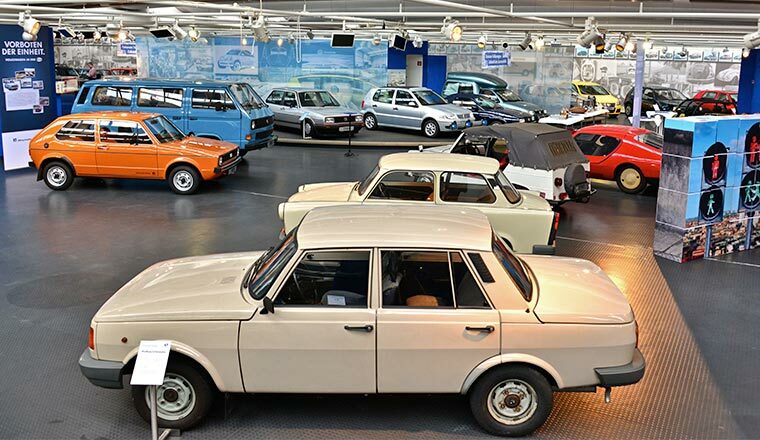 The AutoMuseum provided the appropriate historical vehicles: a traverse-mounted four-cylinder engine in a Wartburg and Trabant? 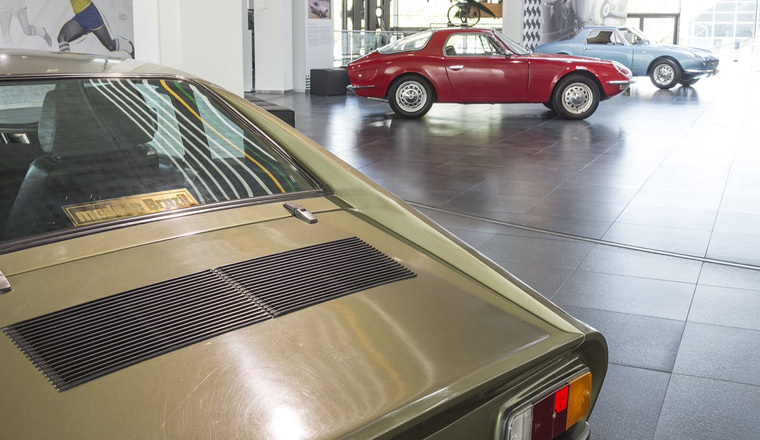 Yes, it's true – on show until the 19th of January at the AutoMuseum! 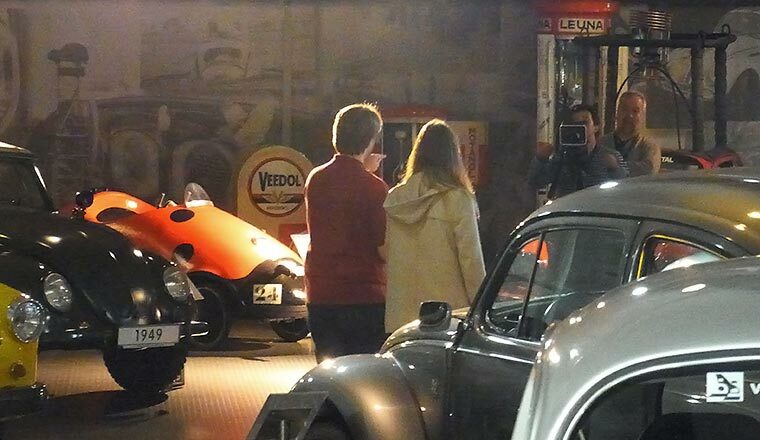 Brazilian TV team at night at the museum. 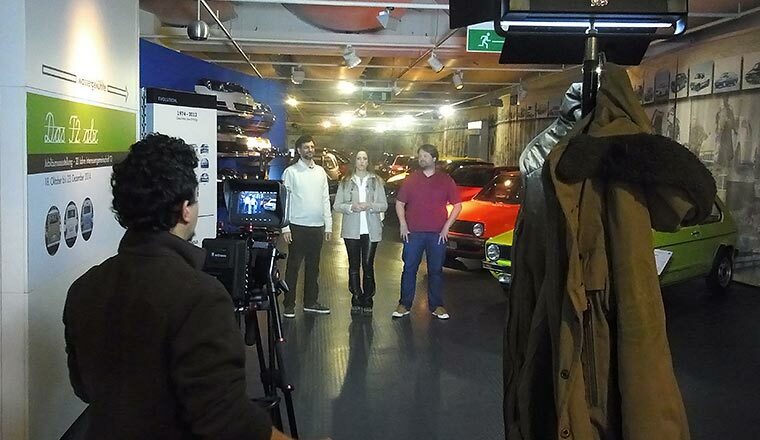 "+Globosat", the largest cable TV broadcaster in Latin America, visited Wolfsburg in order to produce a few episodes in their successful car series (http://globosatplay.globo.com/globosat/oficina-motor/?muu). 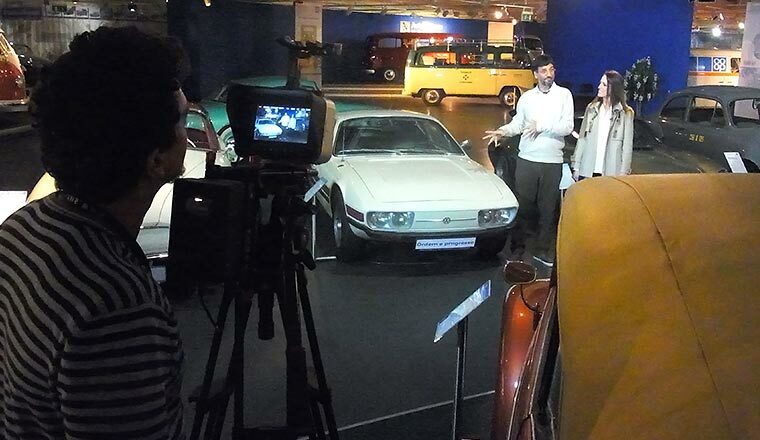 In one episode, they feature the AutoMuseum, where several vehicles hailing from Brazil can be seen at the moment: Fusca, Puma, SP2, T2 Nova Combi and Gol GTI. 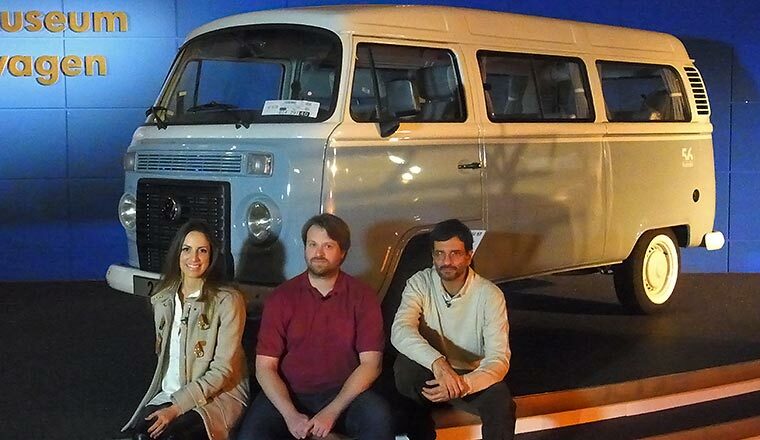 The moderators Michelle de Jesus (truck racer), Henrique Koifman (car collector) and – in the red shirt – Lipe Paíga (journalist, car collector, very knowledgeable connoisseur of the scene) felt like they had landed in a "child's paradise", which they didn't want to leave again.... The episode will be broadcast in mid-2015. 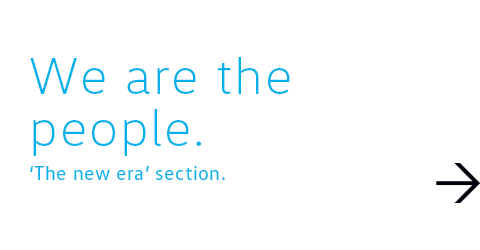 We'll provide you with a link to it later. 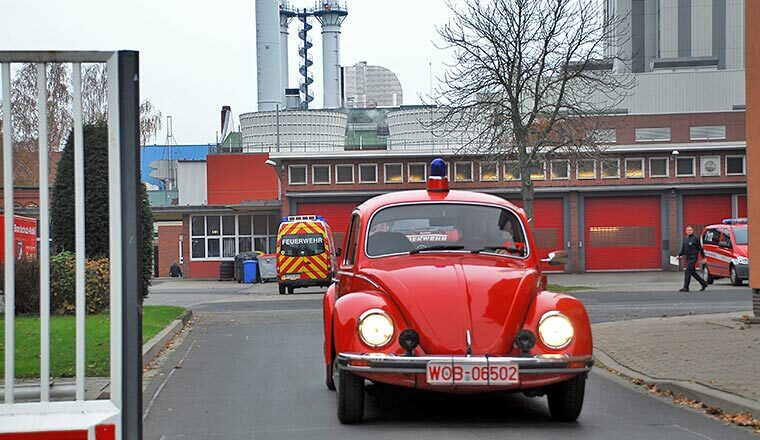 New in the AutoMuseum: a Volkswagen Beetle 1200 from the Braunschweig Fire Brigade. 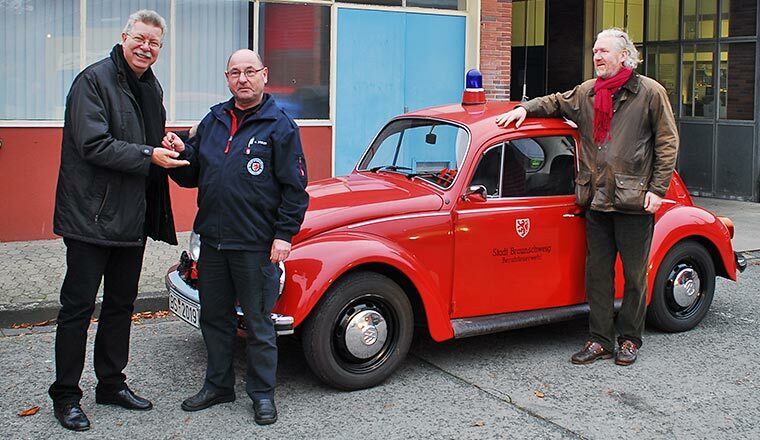 Eberhard Kittler and Eckberth von Witzleben from the Volkswagen AutoMuseum had the great pleasure of collecting a nearly 40-year-old Beetle from the Braunschweig Fire Service. 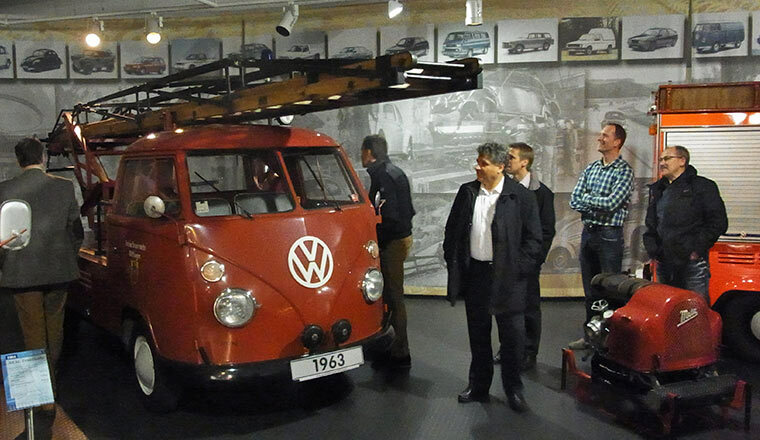 It is already the second historic Volkswagen from the Braunschweig firefighters' inventory. The fire brigade, which itself has a small collection of vehicles dating from the late 19th century to the present day, parted company 5 years ago with a 1990 VW Caddy. 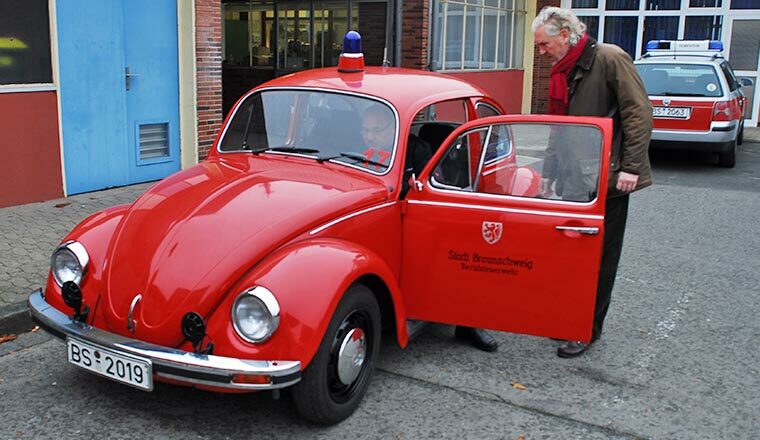 Kurt Stieler from the City of Braunschweig's Fire Service Vehicles department handed over the red 1975 Beetle, equipped with siren and blue flashing light, to the Volkswagen AutoMuseum. 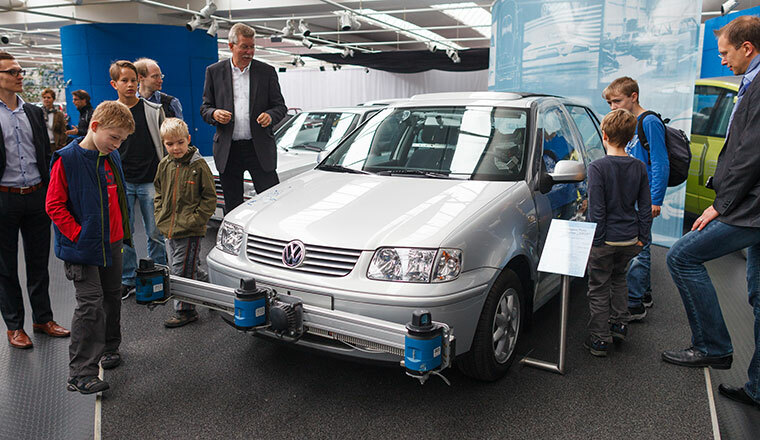 The car was then driven under its own steam the 35 kilometres to the Wolfsburg AutoMuseum, where it will be available in future for exhibition purposes. 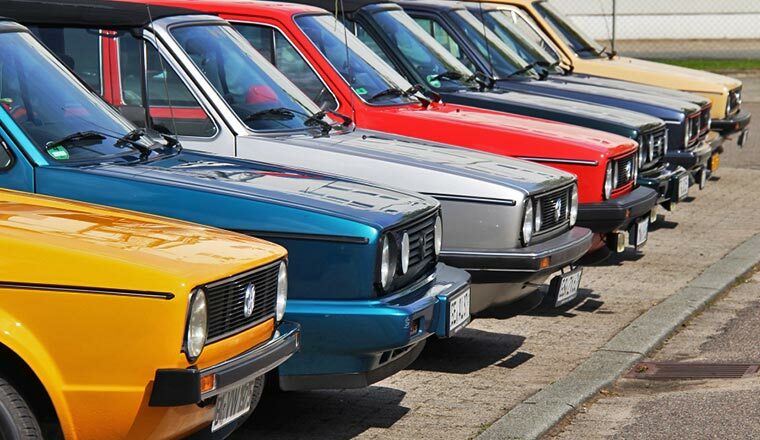 Where did the Volkswagen Golf get its name? From the Gulf Stream, which matches the hot winds of the Passat and Scirocco in terms of content? 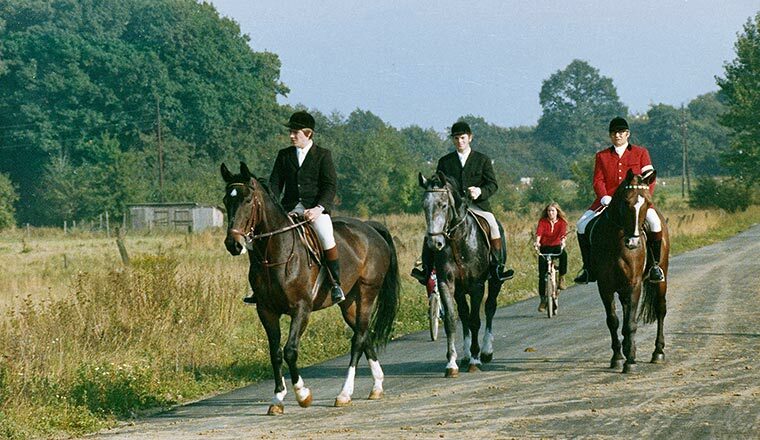 Hans-Joachim Zimmermann, Head Purchaser under the aegis of the Chairmen of the Board Horst Münzner and Ignacio Lopez from 1965 to 1995, revealed the solution to the riddle during a visit to the AutoMuseum: his Hanover gelding, called Golf, which he rode successfully time and again while acting as the long-standing chairman of the Reit- und Fahrverein Wolfsburg (riding and driving club), was expressly praised by Horst Münzer in the summer of 1973. 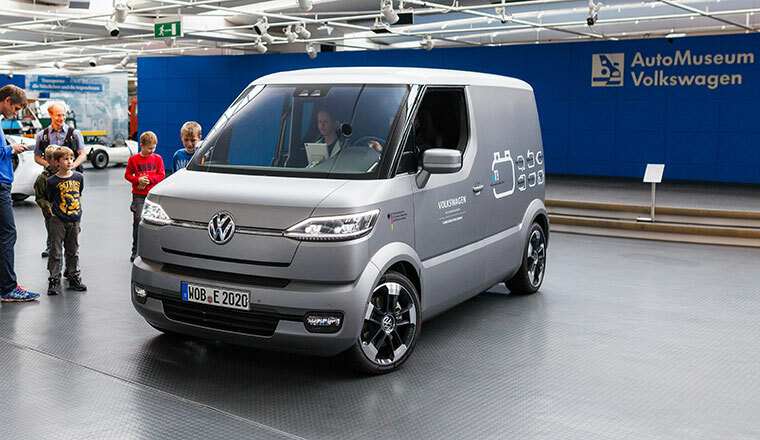 A few days after this conversation on the riding arena, the chairman showed his colleague one of the brand new compact prototypes – with the letter combination of GOLF at the rear. Up to then, names such as Blizzard and Caribe had been discussed. 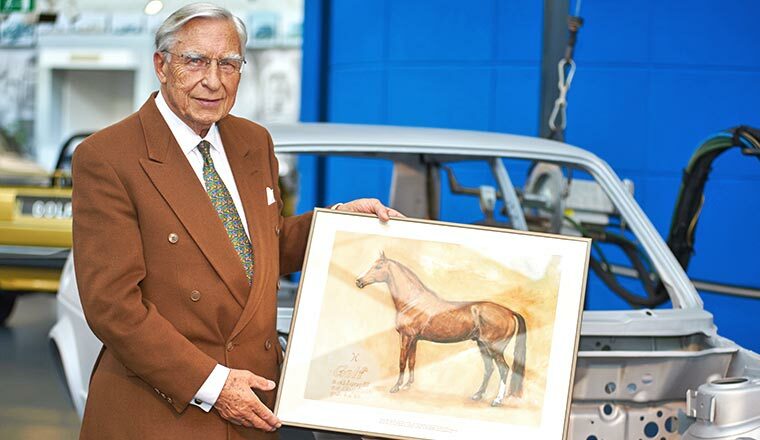 Hans-Joachim Zimmermann, 79 years old now, brought an oil painting of the horse to the AutoMuseum and was delighted: "My horse was the namesake of the Golf – it stands for top-class, elegance, reliability. May the Golf have a long history of success – my horse got to be 27 years old, and in human terms, that meant it reached the ripe old age of 95. That is a pretty good omen!" 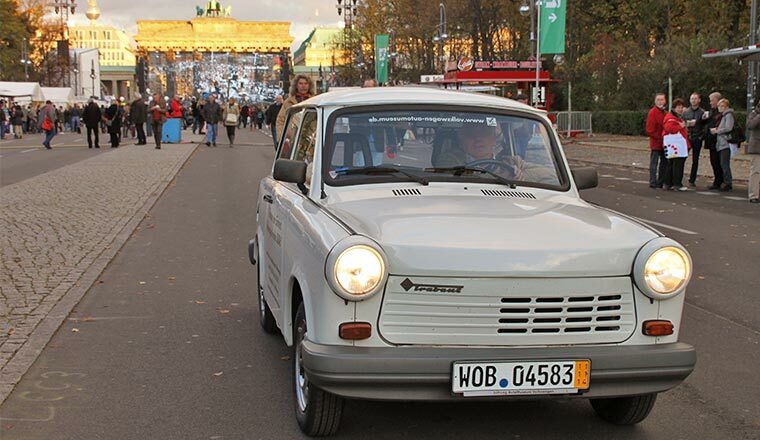 Anniversary tour: taking a four-stroke Trabi to the fall of the Berlin Wall anniversary. 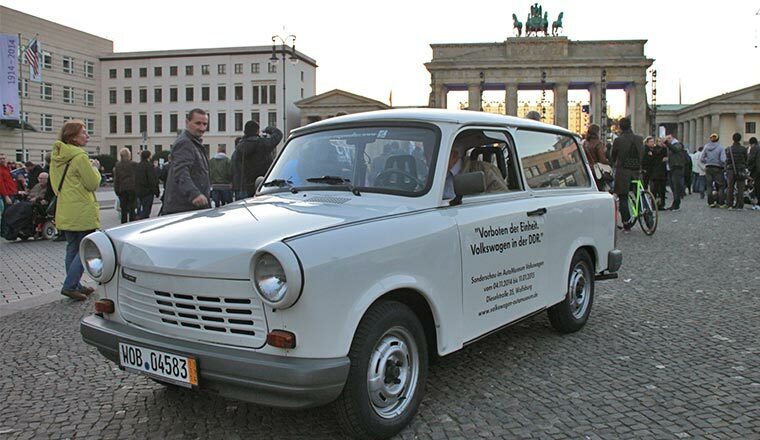 In 2005, Hamburg resident Hans-Ulrich Wolff donated his Trabant 1.1 Universal to the AutoMuseum – on the express condition that on the 25th anniversary of the fall of the Wall he would drive it to Berlin. And on November 8th/9th, along with editor Alexander Voigt, he did indeed make that journey to the capital – passing the former Marienborn border crossing, straight to the largely cordoned off Brandenburg Gate. 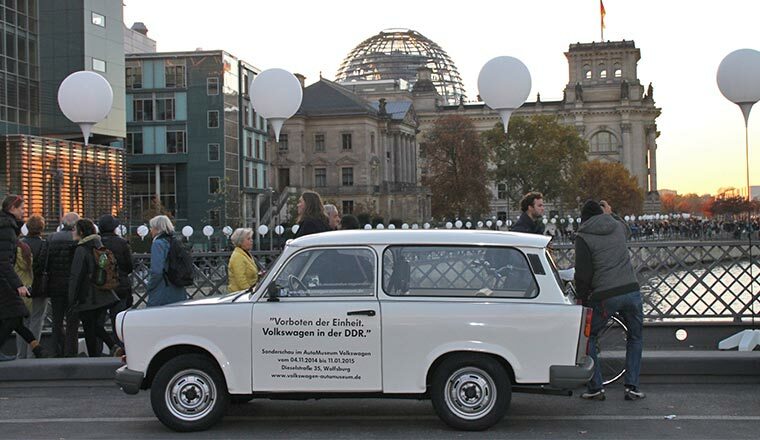 The Trabi – a rare example of the opulently equipped 444 end-of-the-line edition from 1990, which was marketed by a German supermarket chain – was allowed, both on the western and eastern sides, to get as close as the presence of former Soviet leader Mikhail Gorbachev allowed. Along the 'Border of Light' formed by almost 7,000 balloons there then followed a short detour to Checkpoint Charlie – before setting off on the return journey to Wolfsburg. 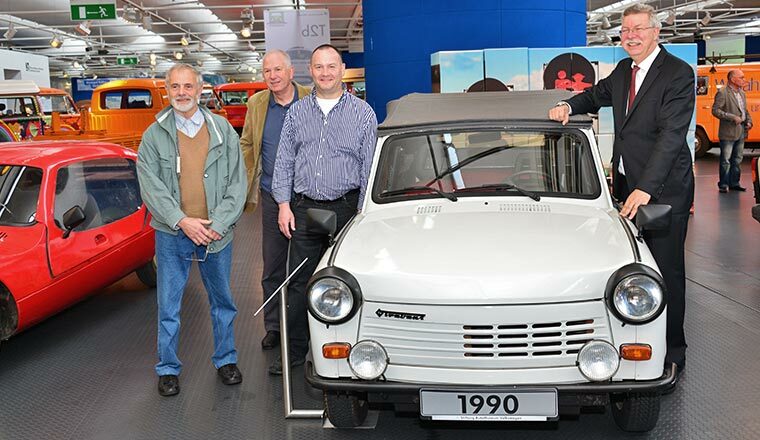 The Trabant reliably made it to its destination – it did, after all, have a Volkswagen engine under its metal (!) hood. 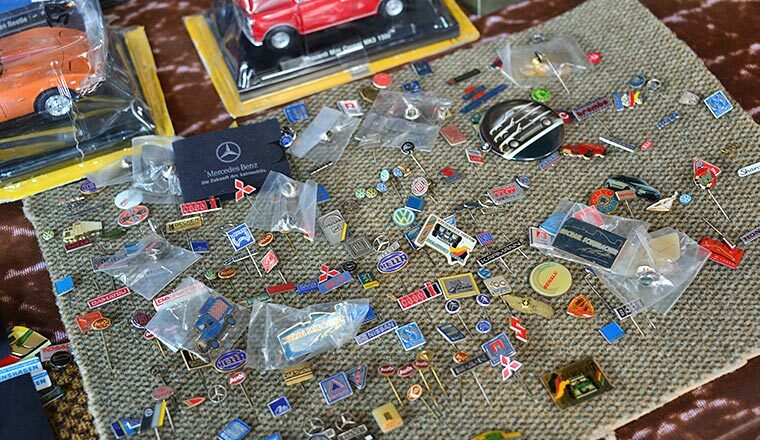 Model car fair, take five. It has now become a permanent institution. 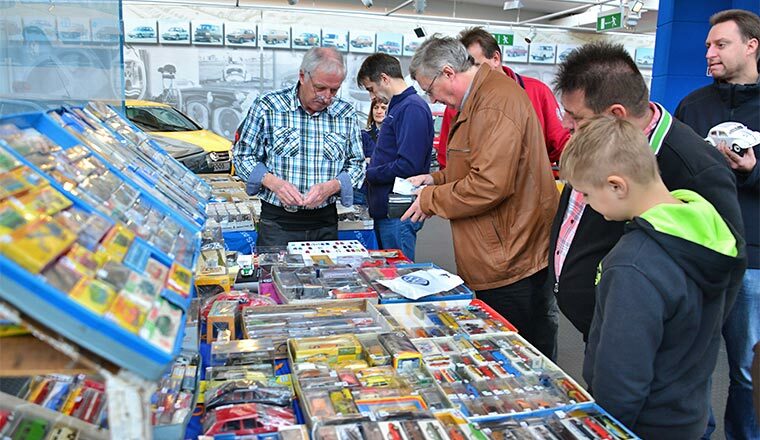 The model car fair, which is popular among both young and old, took place for the fifth time in the Volkswagen AutoMuseum in co-operation with automania. 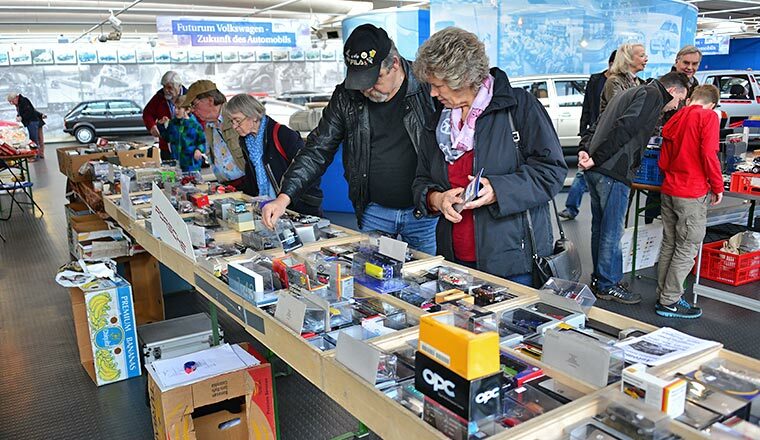 Collectors travelled from all corners of Germany to present miniatures of the 1:1 models from Volkswagen, Audi, BMW, Mercedes and other makes to a fascinated public. 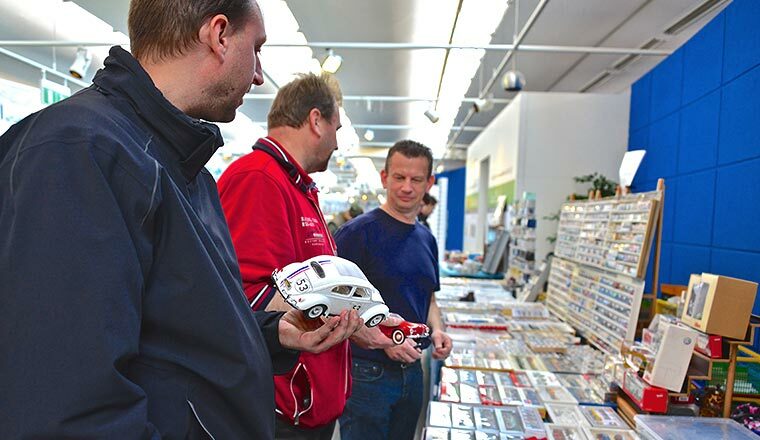 Some were looking for a specific model, others spent the time talking shop about models of almost every scale, tin toys, stickers and literature. This year, the fair again bustled with life and there was a decidedly good atmosphere. 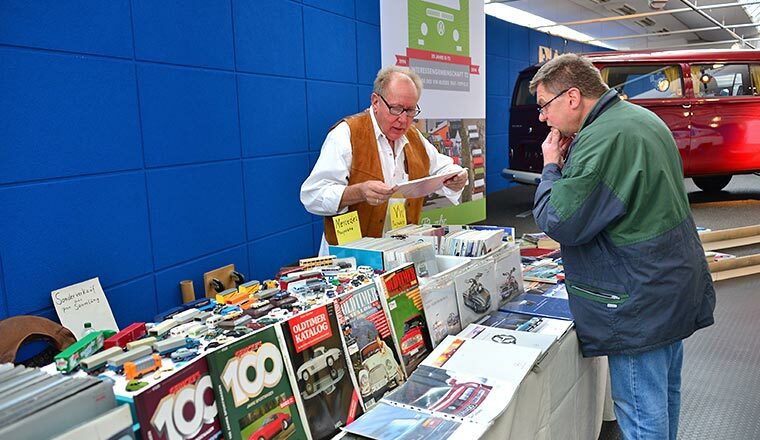 All exhibitors and visitors were spoilt for choice with the rich assortment on show. Extra: Harbinger of the (German) reunification. 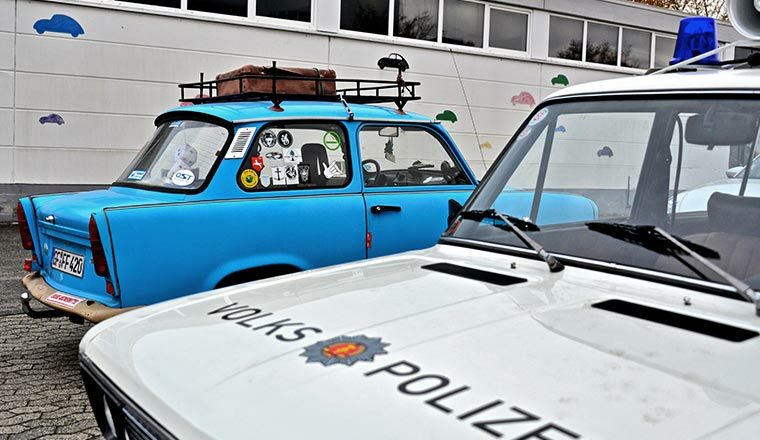 Volkswagen in the GDR. As the Berlin Wall fell twenty-five years ago and German reunification was within reach, there had long been a detente between the two German states in the automotive sector: with the Beetle (and various remodellings based on it such as the streamlined Rovomobil), Volkswagen had always been a presence in East Germany, and at the latest with the delivery of 10,000 Golf units in 1978, the brand from Lower Saxony was considered the yardstick by which all else was measured. 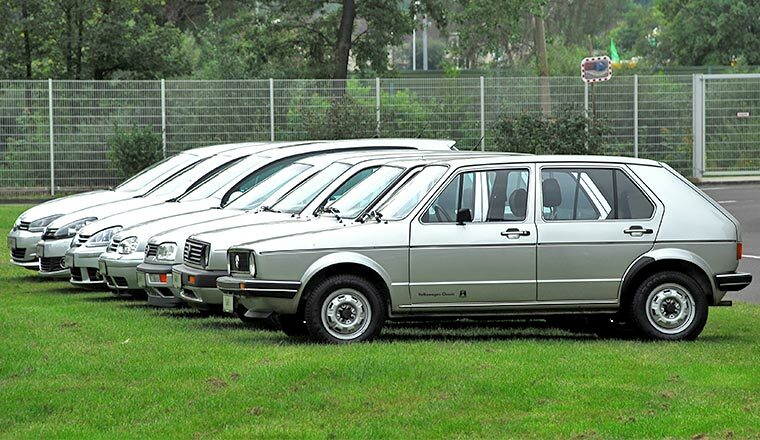 2,400 T3 vehicles were also sold for East German marks in 1985; besides that, there were, of course, vehicles sold in the GDR in exchange for foreign currency. 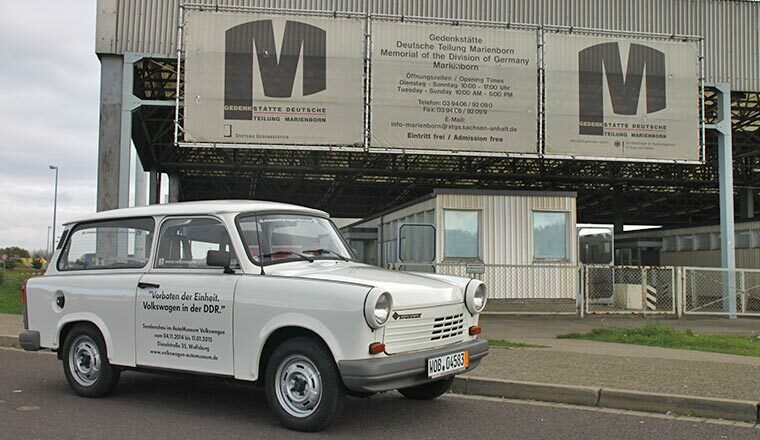 As part of an engine delivery contract, the Trabant and the Wartburg cars received state of the art four-stroke engines from Volkswagen in 1989-90. 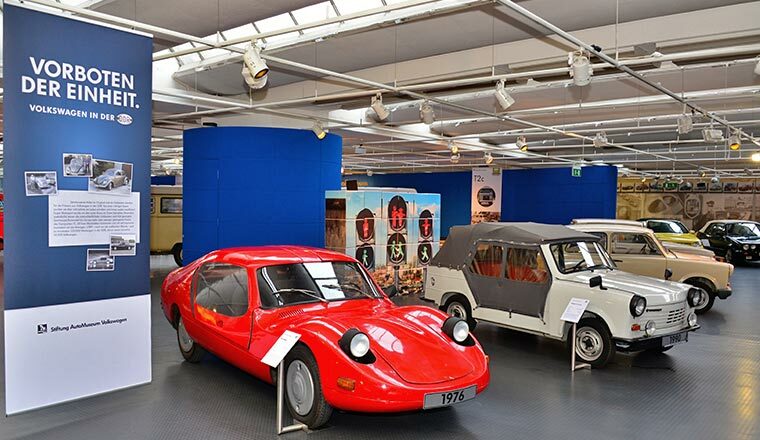 Six exhibit pieces reflecting this era are being showcased within the framework of a small special exhibition at the AutoMuseum from 04 November 2014 to 11 January 2015. New in the Museum collection: VW Golf III GTI and Beetle “Jeans”. 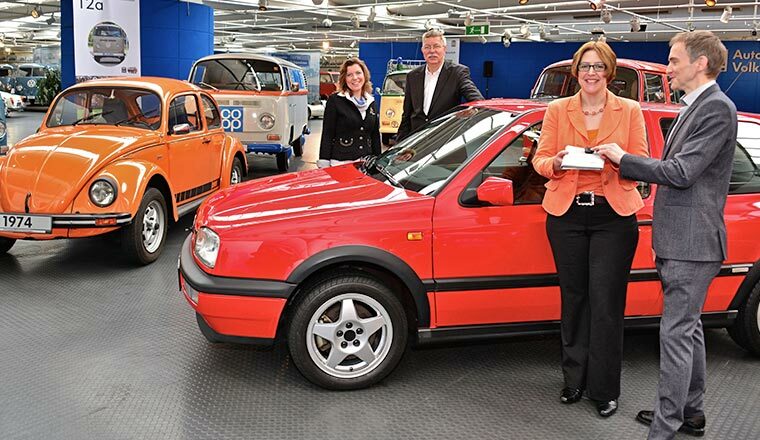 Up till now, Markus Crott from Aachen could not and did not want to let go of his first Volkswagen – a 1994 Golf III GTI Edition “Flash Red” coloured. 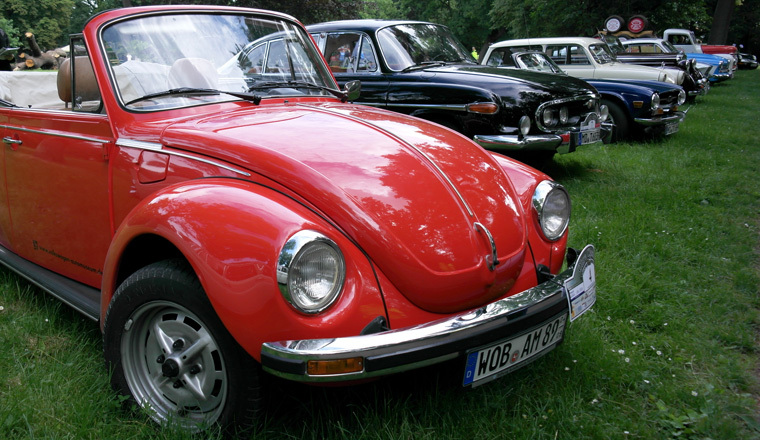 The first-hand vehicle with a 115 PS two-litre engine is in excellent condition. 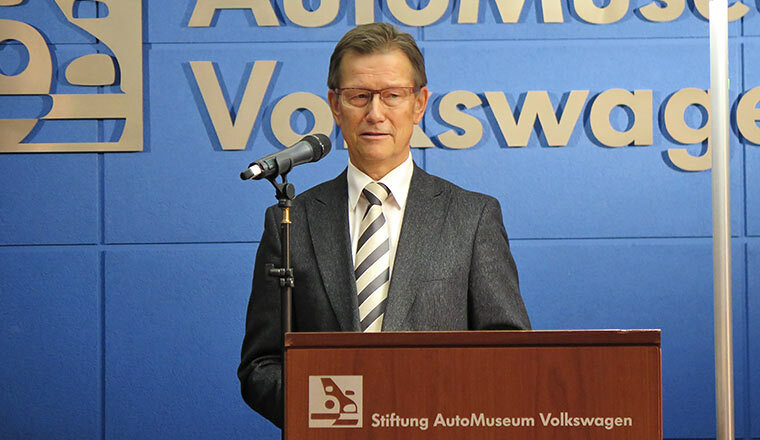 Now the managing director of a synthetic material company has opted to cede his automotive sweetheart to the Stiftung AutoMuseum Volkswagen. 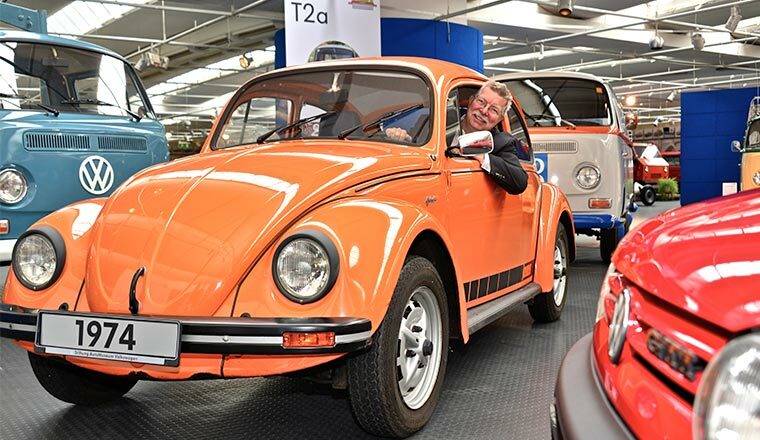 Beside the Golf also a rare Beetle “Jeans” in Nepal Orange from 1974, a friendly gift by Ina Burg from Wesel, a lady who is a good friend of the museum for a long time, came to the exhibtion. 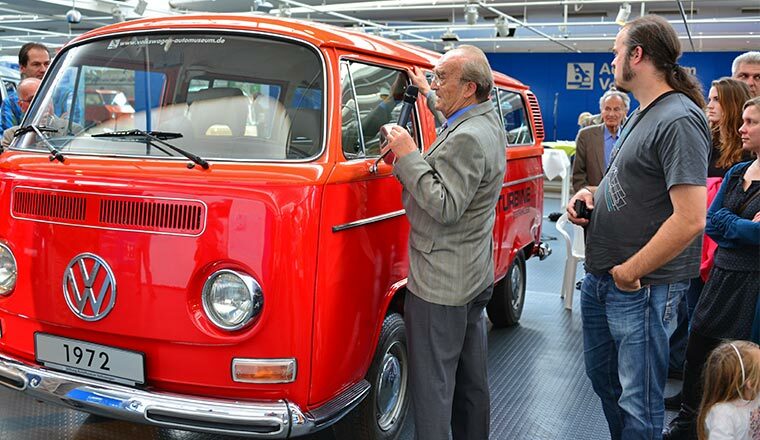 The handover of these beautiful automotive collector's pieces took place before media representatives in Wolfsburg. They will be another treasures added to the permanent exhibition of the Museum collection. The creator with two of his creations. 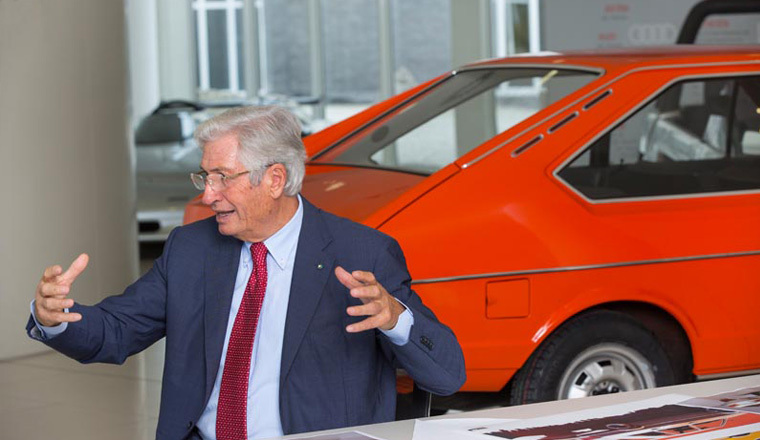 Giorgetto Giugiaro brought a breath of fresh air to the Volkswagen model programme in 1973-74: the design of the Passat, Scirocco and Golf all came from him (whereas the Polo was designed by Bertone). 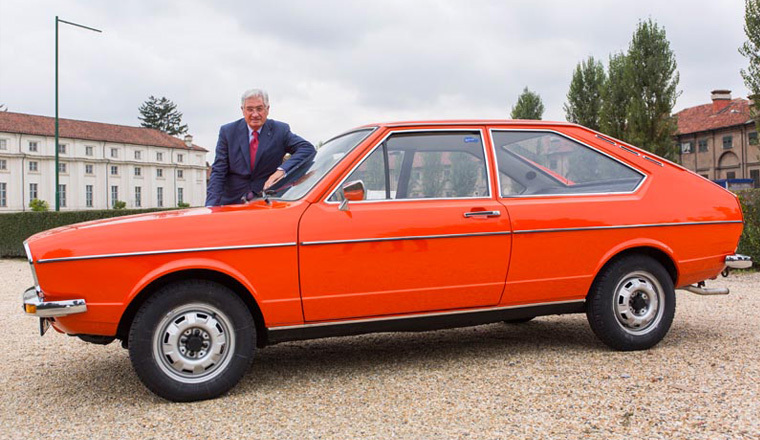 On the occasion of the Passat Special at www.volkswagen-classic.de, the 75-year-old maestro met with one of the very first Passat cars – the 1973 hatchback saloon with chassis number 2 is on exhibit at the AutoMuseum. It had made a special trip to Turin for this occasion. 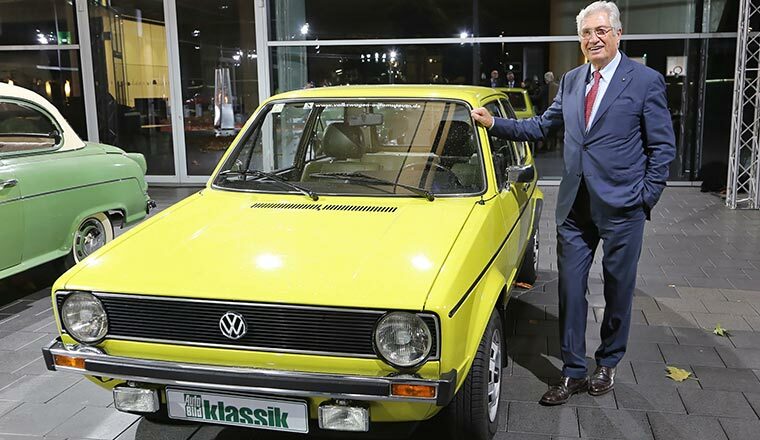 Two days after this remarkable reunion, there was a second rendezvous with one of his design creations: as part of the award of the Golden Classic Steering Wheel of KLASSIK-BILD at Neckarsulm, the star designer let himself be photographed with the yellow Golf I from 1975 at the AutoMuseum. Anniversary exhibition of the IG T2. 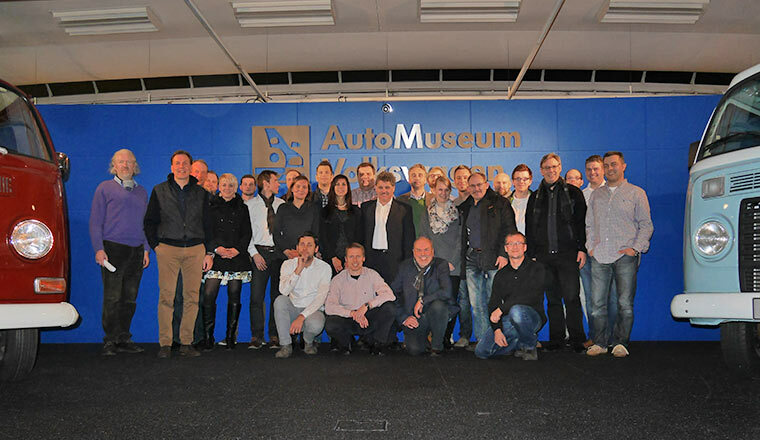 On the occasion of its twentieth anniversary, the T2 Interest Group organised a special exhibition at the AutoMuseum from 18 October to 23 December 2014. Entitled "The T2 abc", representatives of the three evolutionary steps within the model range will be shown – it was produced from 1967 to 2013! 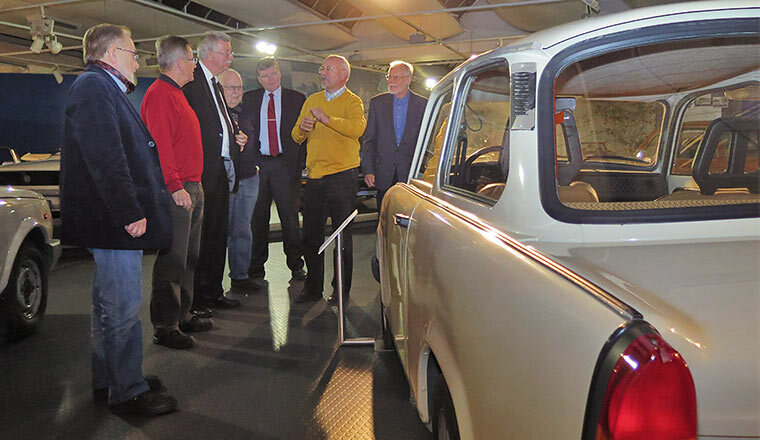 Lenders, club members and other guests attended the opening of the exhibition on 18 October and were impressed indeed by the total of 14 exhibits at the AutoMuseum. 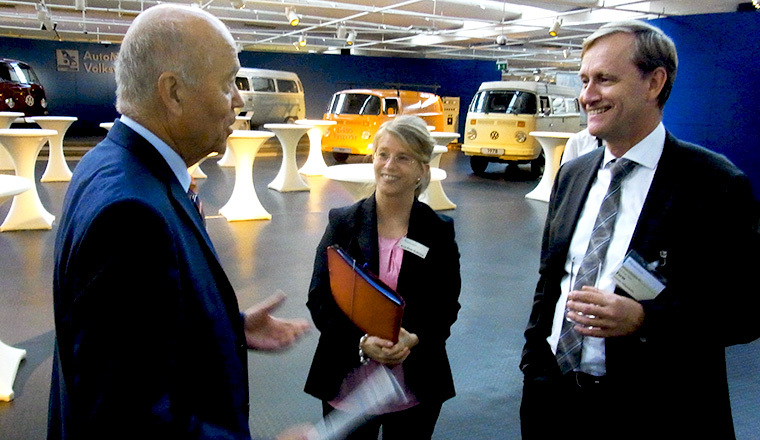 Karl Nachbar, former head of Volkswagen's commercial vehicles development department and his colleagues Henning Duckstein and Gottfried Kunstmann told very interesting facts about the technical devolpment of the T2. 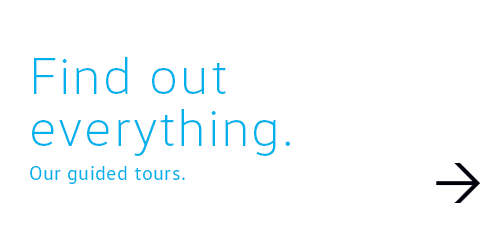 A tour guide brochure for €3.00 and a branded miniature model for €16.00 is available in the Museum. On request, it can be sent by mail. 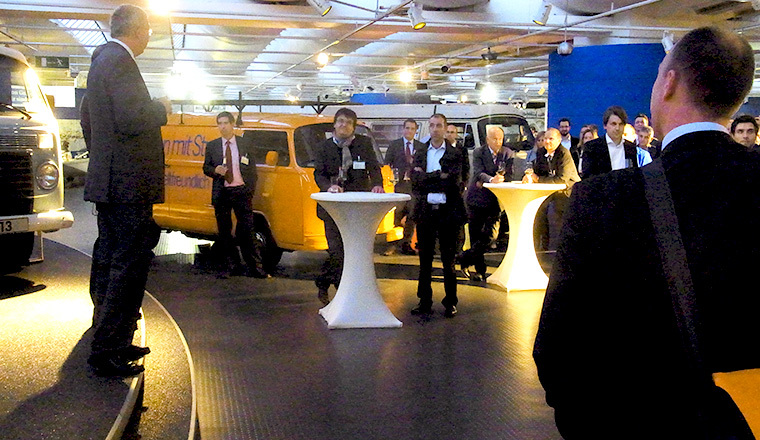 The evening event of the 30th VDI/VW Joint Congress took place at the AutoMuseum on 14 October. 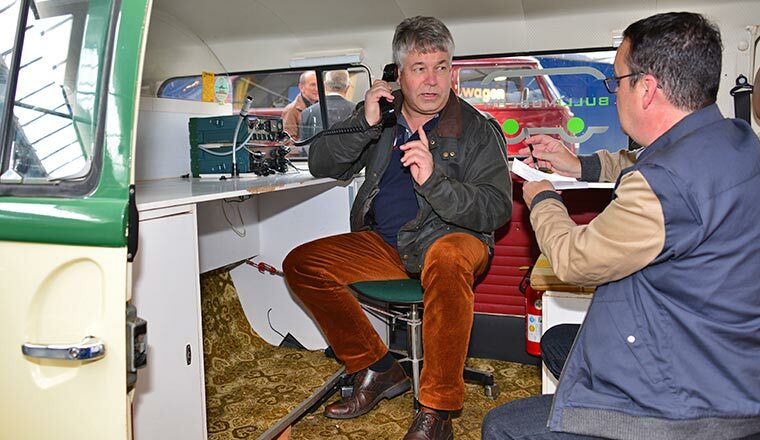 The participants at the two-day event were focussing on pioneering navigation and driver assistance systems and enjoyed the retrospective look at an era during which, for instance, the topic of electronics was still in its infancy. 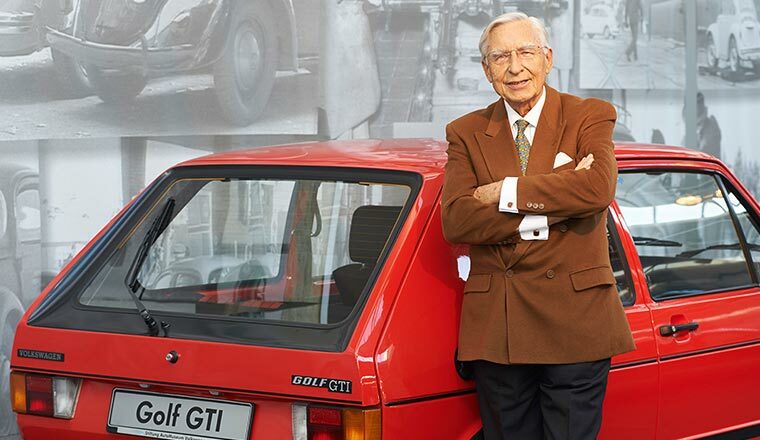 On the other hand, Volkswagen was already working with technologies such as fuel injection, electric and gas turbine drive systems and intelligent aerodynamics as early as in the 1960s and 1970s – some of which could be viewed by visitors at the venue that evening. 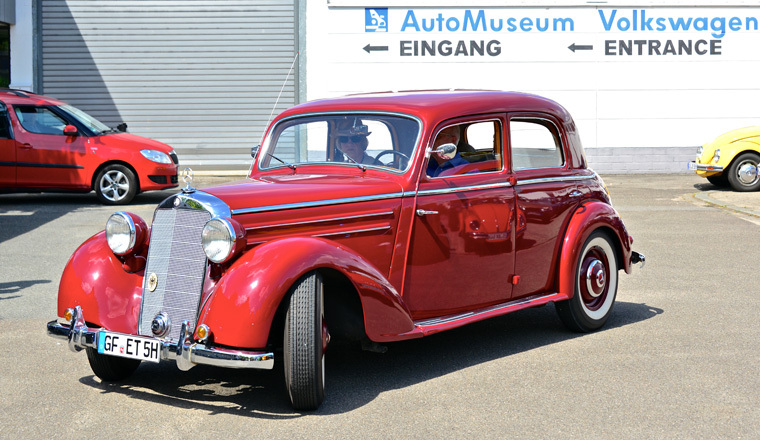 The AutoMuseum showcased a number of pioneering and unique cars to an exclusive group of people all Saturday morning: five father-and-son duos from Germany, who had won prizes in a contest held by Technology Review magazine, experienced a special guided tour through the museum. 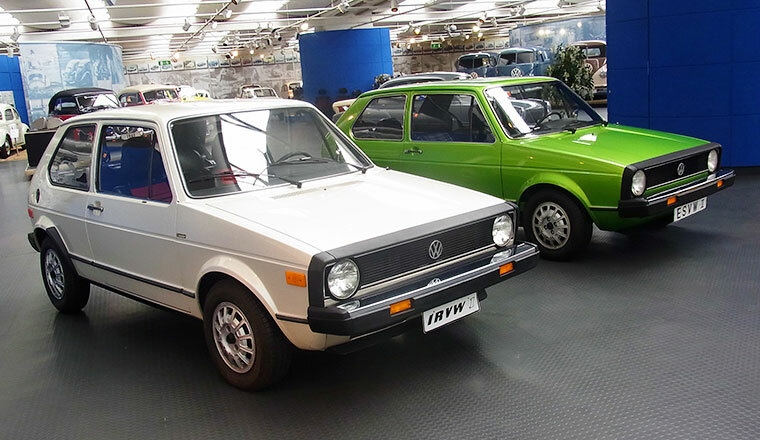 To this end, several very special research cars were exhibited: beside the IRVW I and ESVW II based on the Golf I, the NILS and eT! 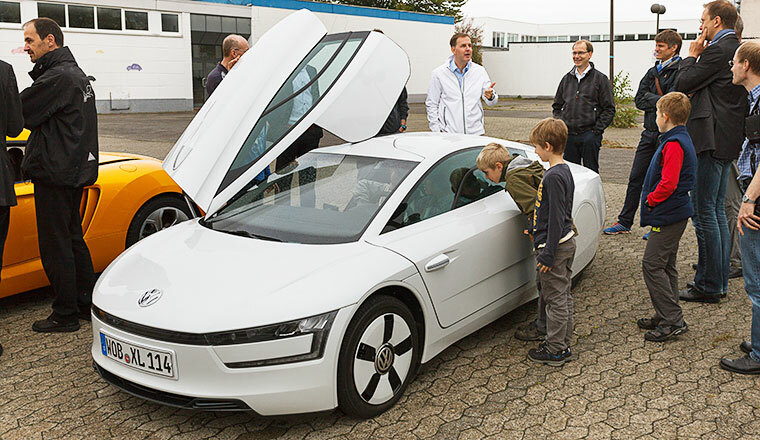 electric vehicles could be marvelled at and, along with them, the automatically operating Junior based on the Passat VI. 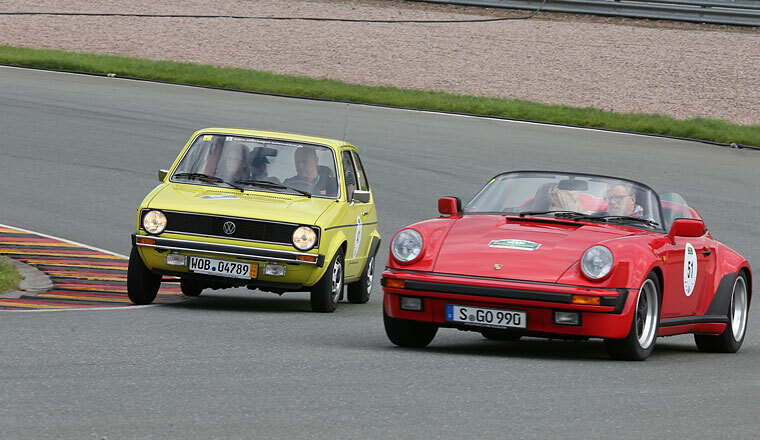 An XL 1 and the Eco Racer were available for a brief driving experience. 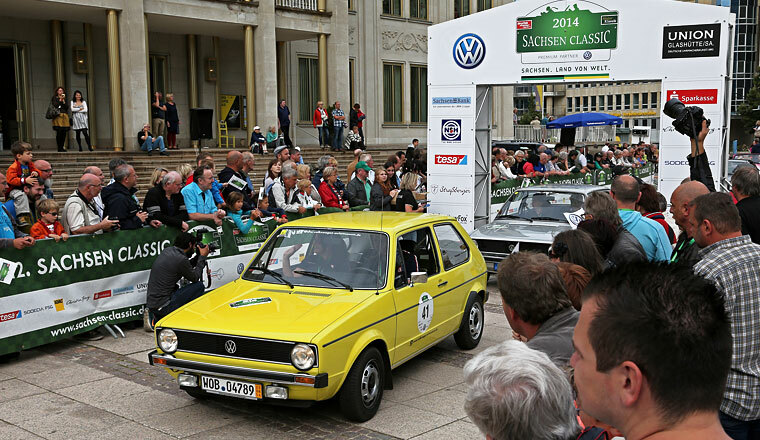 Golf LS from AutoMuseum at Saxony Classics Rallye. 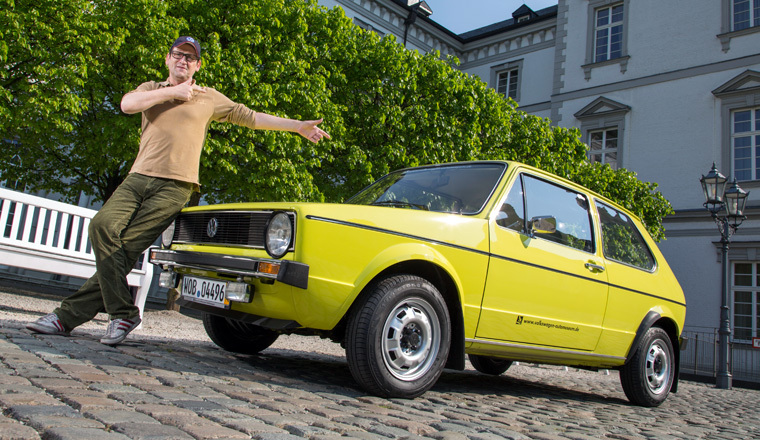 The yellow Golf LS from AutoMuseum collection is in constant use. 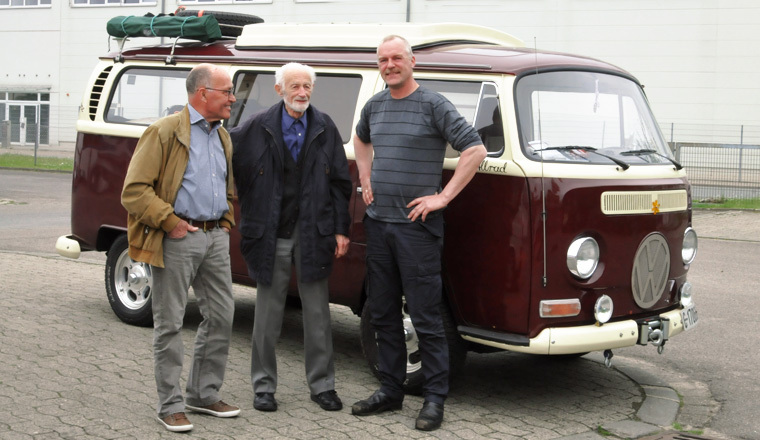 It just arrived back from the Sachsen Classic, where Christian Wente, Sandra Lorenz and his 7 year old son Kai drove it for around 700 km, including 20 special stages to place 132. 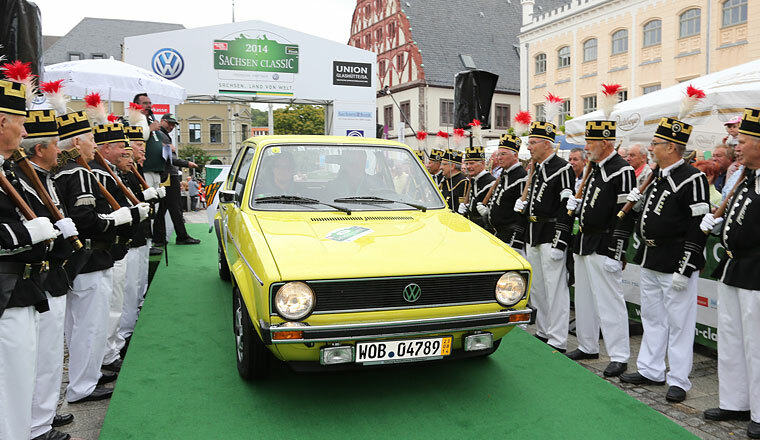 The good humoured Team won the opportunity to participate in this popular Rally during a tombola of www.volkswagen-classic.de with an interesting story about their VW Golf CL Turbodiesel. No matter if at the start in Zwickau, or racing curves at Sachsenring, or climbing the “Rocketing wall” of Meerane or during the final day to Leipzig – the team and the car proved themselves as true brand-ambassadors. “1. 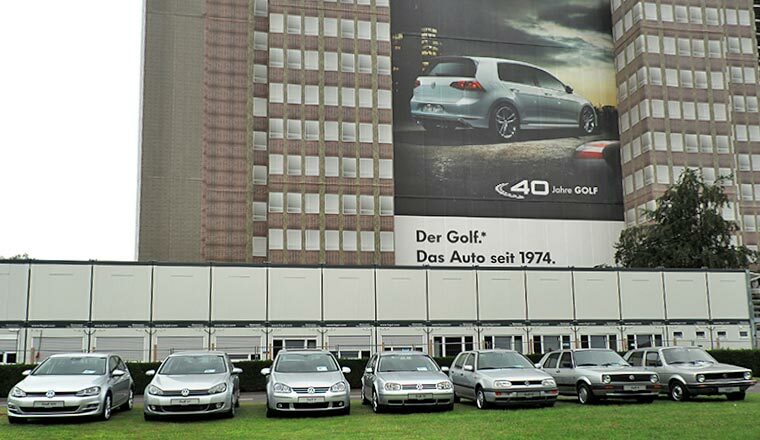 Original Golf 1 IG”-Meeting at AutoMuseum. Around 30 club members and friends of the “1. 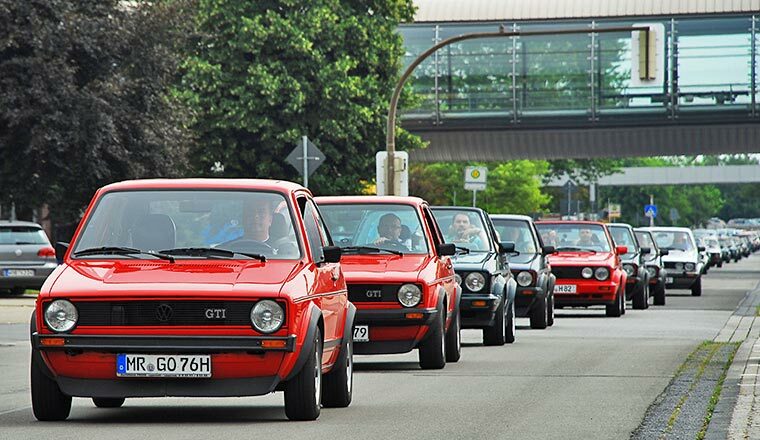 Original Golf Mark 1-IG” brought their automobile favorites to Wolfsburg AutoMuseum on Saturday, August 16. 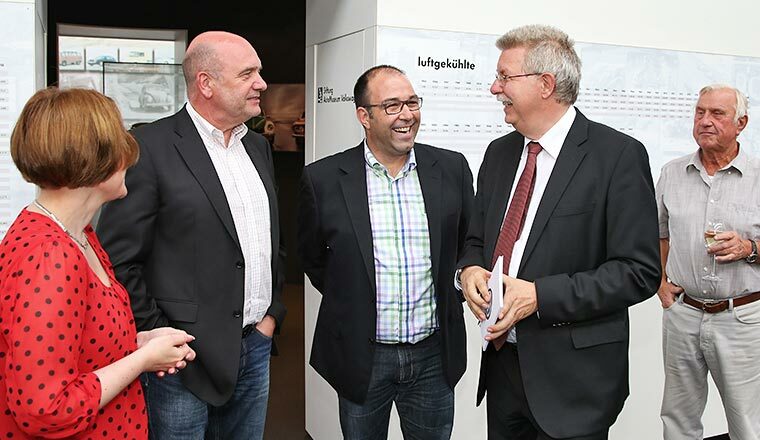 Their visit was focused on the special exhibition “40 years Golf”. 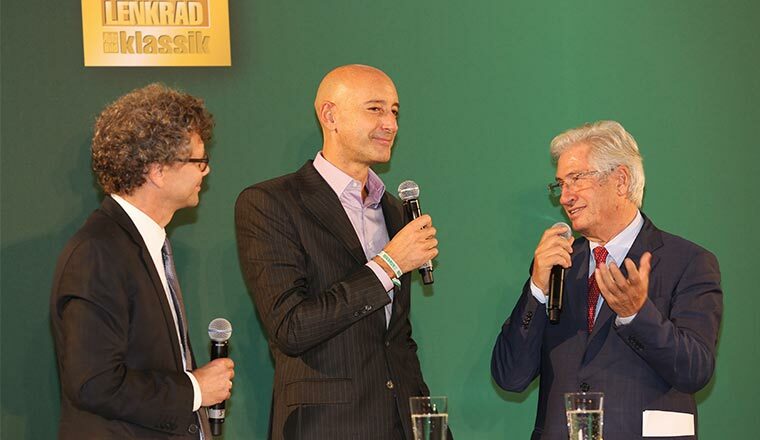 The Club was very involved in the preparations of this exhibition. 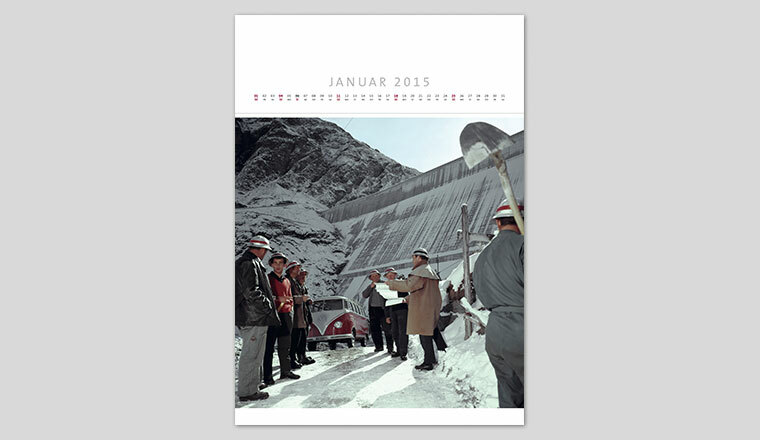 New Volkswagen calendar 2015 - this time with Bulli photographs. 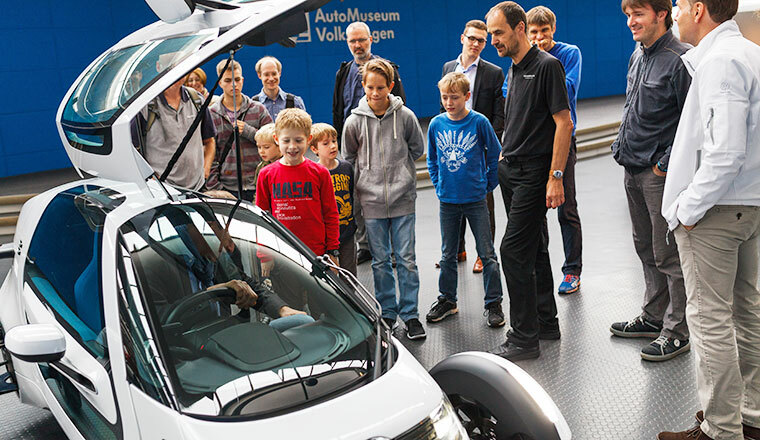 Driving Experiences at the AutoMuseum. 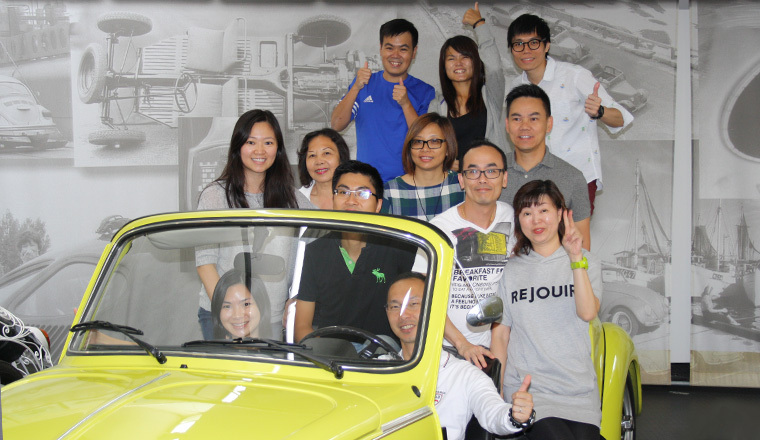 Volkswagen Hong Kong invited the winners of several local contests to Germany for Volkswagen Driving Experiences programme. This unique opportunity offers high-level driver training, allowing drivers to develop their motoring skills in a safe yet exhilarating track environment. 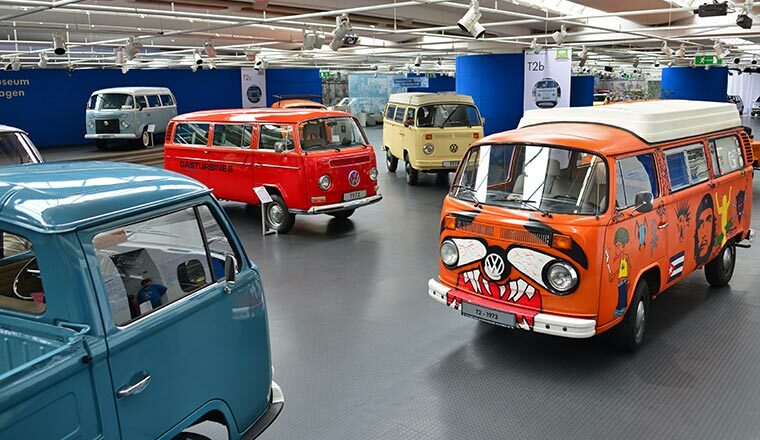 A visit of AutoMuseum Volkswagen was the last high spot of the five days tour. 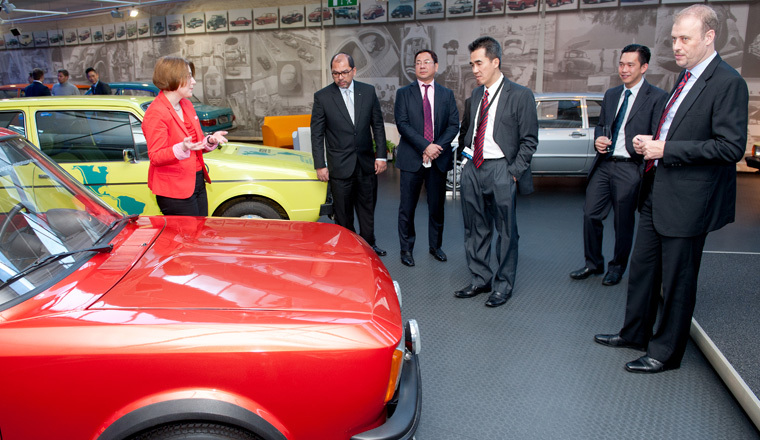 Here, the participants got an unique view into the product history of Volkswagen, which they obviously impressed. Opened: Special exhibition "40 years of Golf". 24 July 2014. 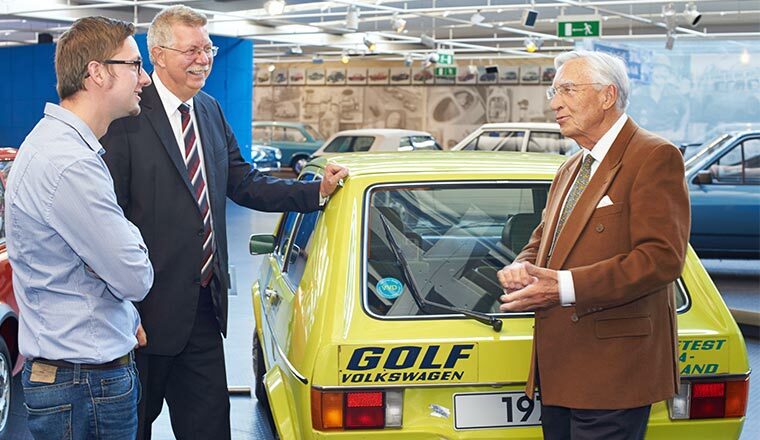 The AutoMuseum Volkswagen opened its anniversary exhibition “40 years of Golf – the early years”. 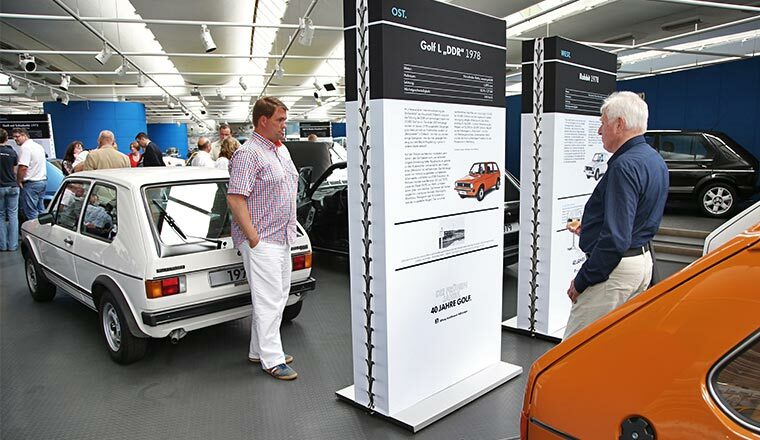 Patrons and guests were very impressed by the exhibition of 20 Golf cars of the bestseller’s first generation demonstrating their variety and innovative power. 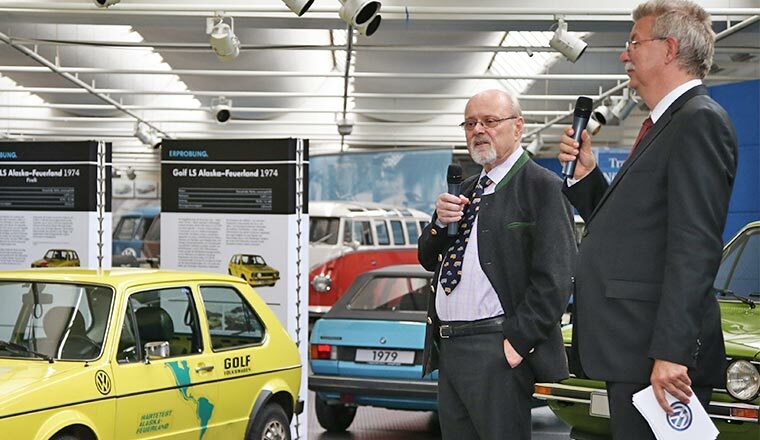 The audience listened magnatized to Eberhard Kittler, chairman of the Foundation AutoMuseum Volkswagen, and Dr. Bernd Wiersch, Volkswagen historian and contemporary witness, who spoke about the development of the Golf and its important role in the past and today. The Open Day also attracted a large number of interested visitors. The exhibition is still open until 5 October 2014. A selection of the presented Golf models is shown under “events” on the main web page. The brochure detailing this special exhibition and the history of the Golf is available for 5 € in the museum shop. By request, we can also send it to you by mail. 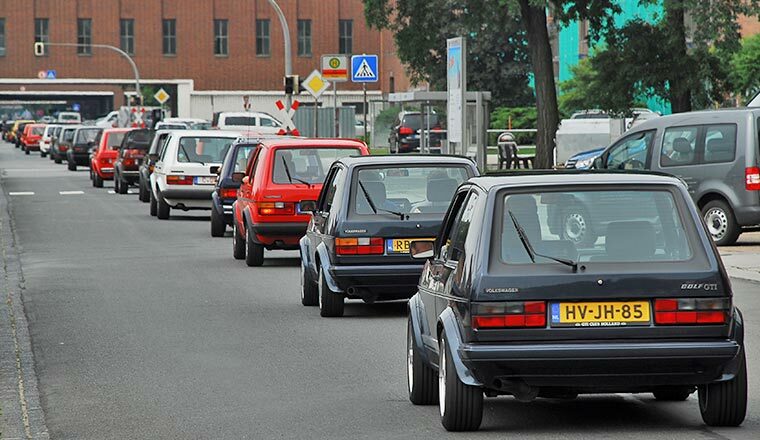 40 anniversary of the Golf: Golf I meeting at Volkswagen plant in Wolfsburg. 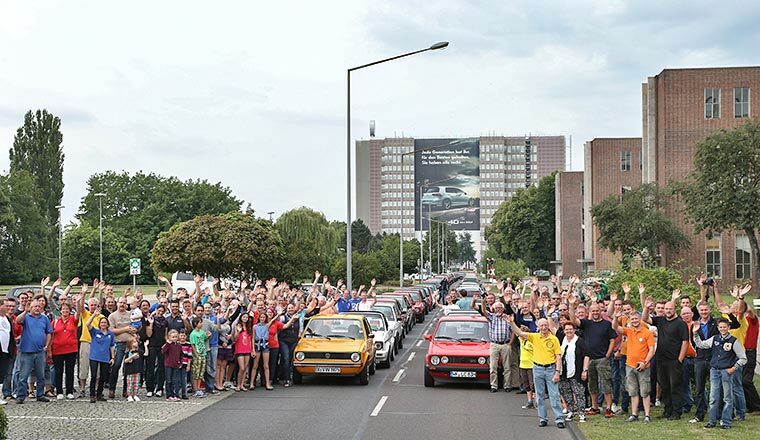 The enthusiasm of the Golf I fans was huge: Regarding the 40th anniversary a Golf I parade of various models rolled through the Volkswagen factory in Wolfsburg. 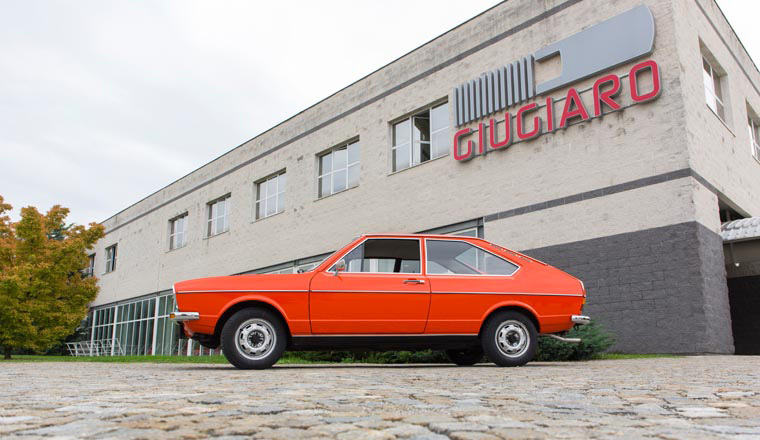 Around 80 vehicles of the bestseller’s first generation presented the whole range: Starting with the earliest serial model up to the GTI and some of the today's rare special convertible models and a Jetta I. 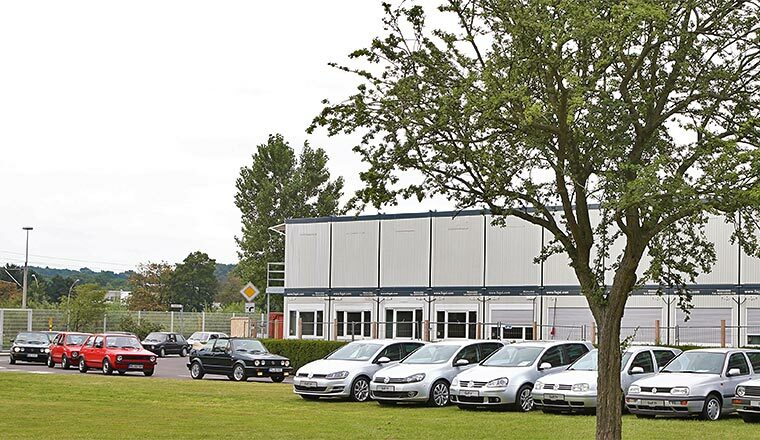 The passionate Golf drivers who participated in this event were allowed to take pictures of the Golf models in front of the historic factory buildings. 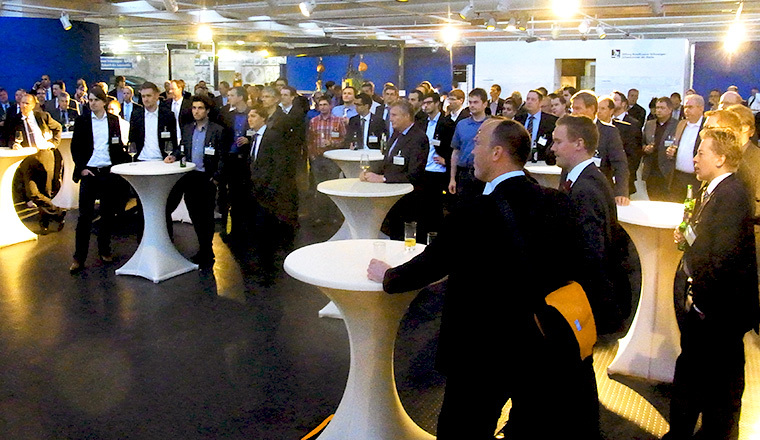 The participants came from Germany, Denmark, Netherlands, Austria and Switzerland. 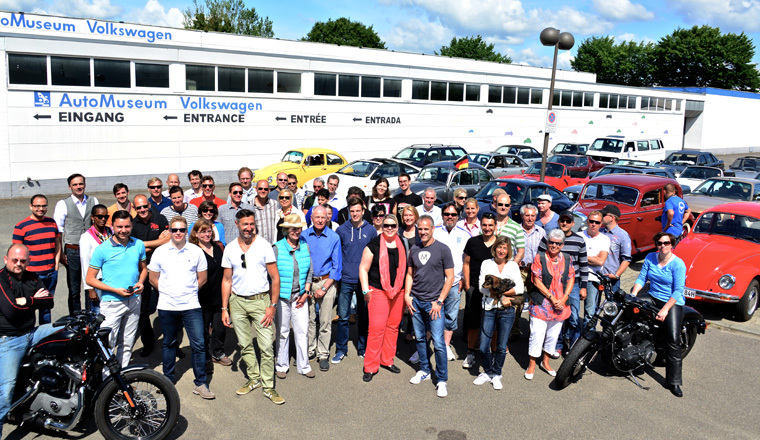 They are all members of the “Original Golf I IG” which had its annual meeting in Wolfsburg. 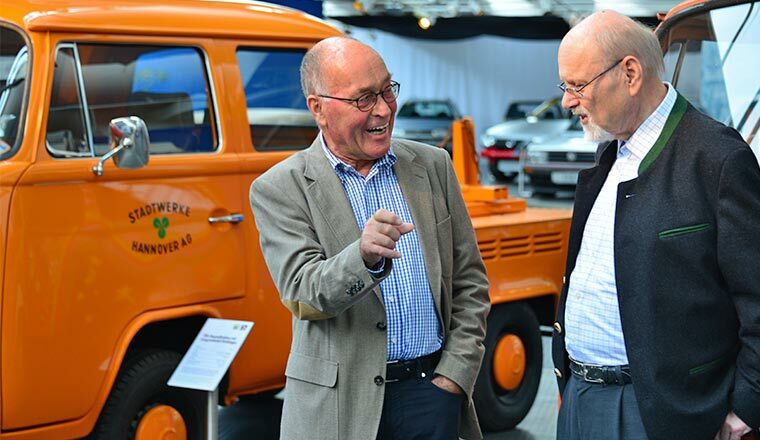 Some exhibits of the upcoming ‘40 years Golf’ special exhibition at the AutoMuseum are owned by members of this “IG”. Macchina di Popolo at visit in Wolfsburg. 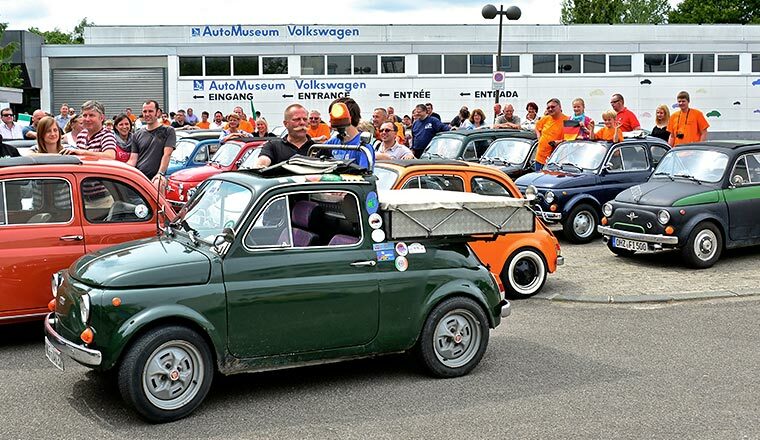 AutoMuseum Volkswagen was completely dominated by the “Cinquecento” for a day. This Italian people's car played a significant role in the motorization of our southern European neighbor decades ago. The two cylinder engine had a capacity of 500 cubic centimeters and formed the basis for the vehicle's name, “Fiat Nuova 500”. 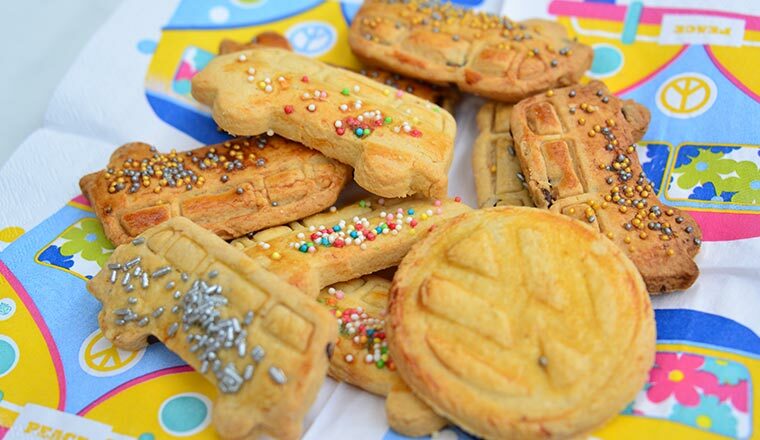 Between 1957 and 1975 Fiat manufactured more than 3,7 million units. 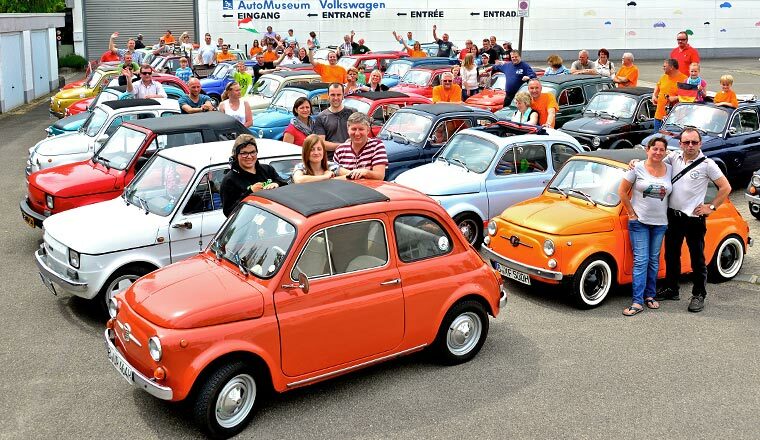 85 of the iconic Fiat 500 arrived the AutoMuseum. 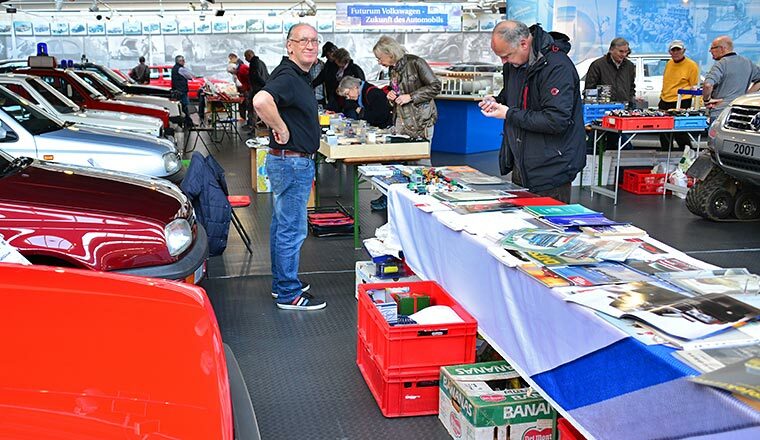 About 100 “Fiat 500 enthusiasts” (www.500forum.de) recently visited the AutoMuseum, a highlight of the club's meet. 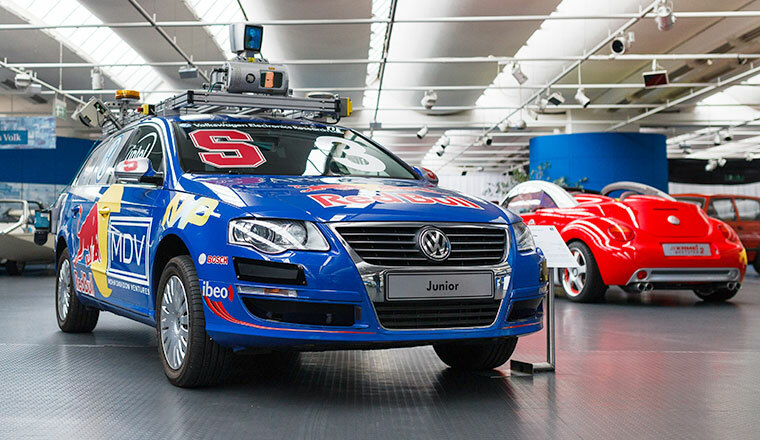 Users of the Internet platform Tripadvisor have selected AutoMuseum Volkswagen as the number two of sexteen sights of the town of Wolfsburg. 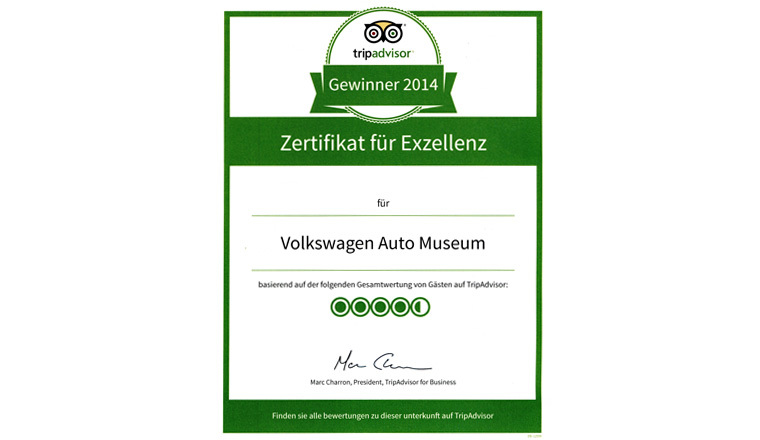 Tripadvisor handed the „Certificate for Excellence“ to the Volkswagen AutoMuseum in mid of June. 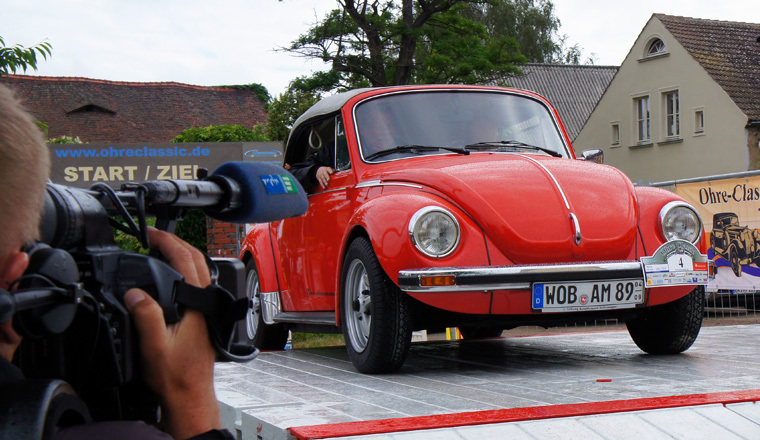 German Actor Ingo Naujoks will take part in his first classic car rally at the premium “Schloss Bensberg Classics” event on 19th July. 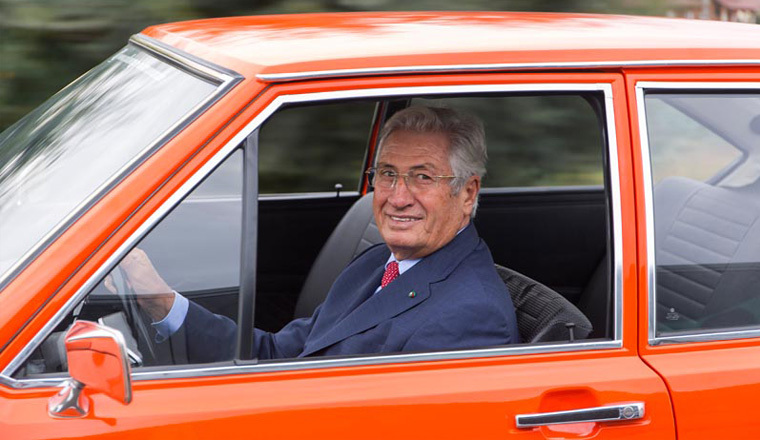 He has already undertaken his first test drive with one of the oldest existing Golf Mk 1 built in 1975, which is a milestone of AutoMuseum. 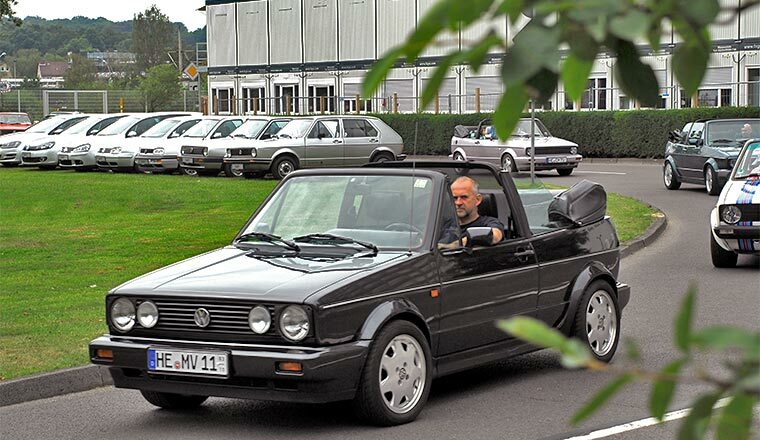 Naujoks already drove a white Golf through Europe after his school graduation in 1980. 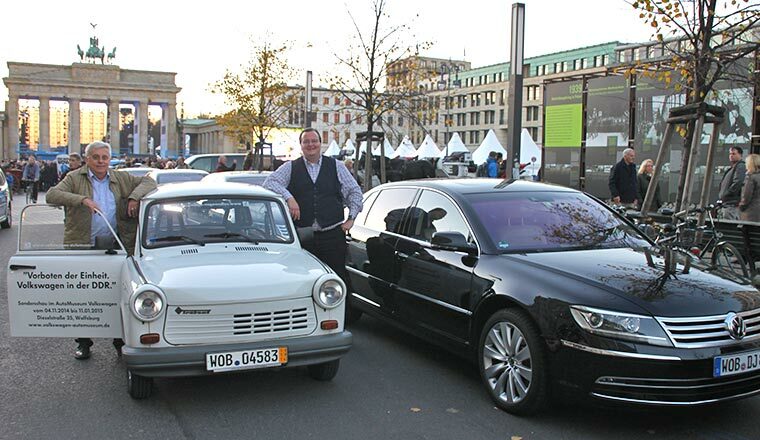 The article about his latest test drive was published in “Autozeitung”. 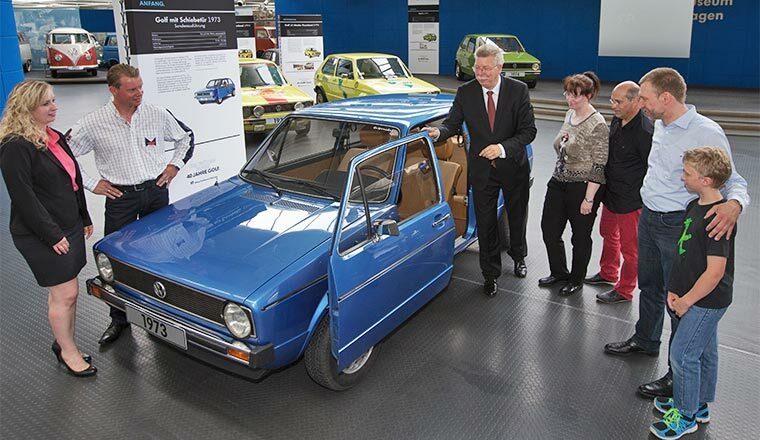 At the end of 2013 this blue 2door hatch was part of AutoMuseum exhibition “30 years Golf Mk 2”. 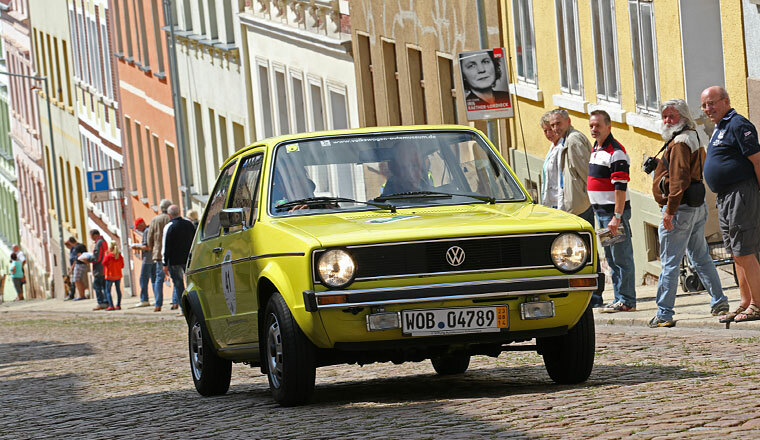 Now this 30 year old Golf - built at the end of 1983 - received the classic cars H-license plate which reduces the tax and allows vehicles to enter town centers. 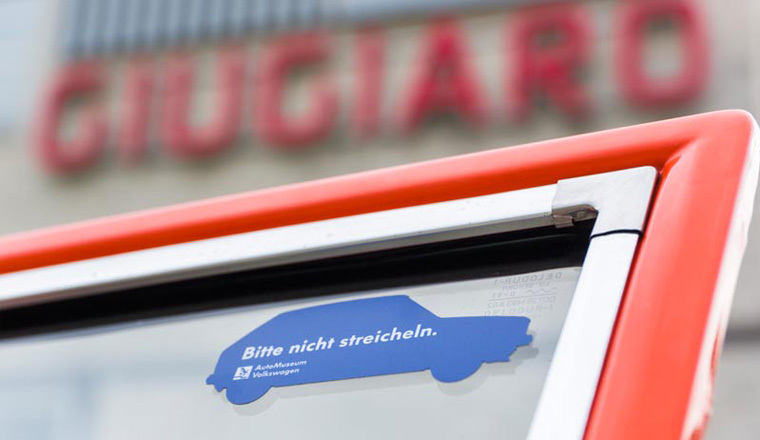 Christian Dietz and Lars Jakumeit were supported by Classic Competence Center Auto Wichert in Hamburg. 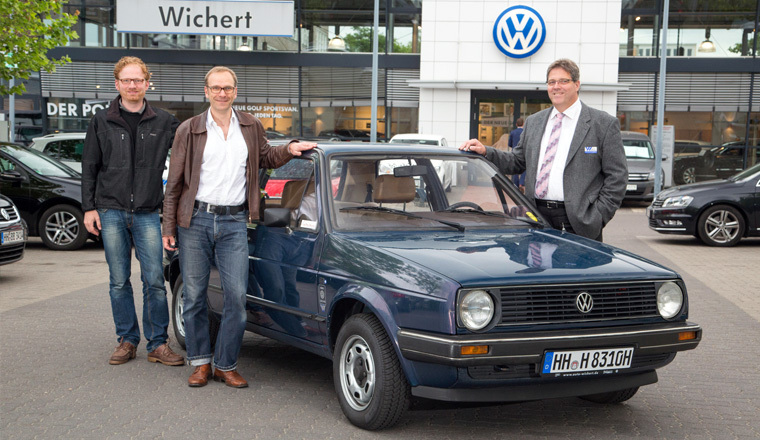 Service Manager Norbert Gerlach as well as Dietz and Jakumeit firmly believe that this Golf Mk 2 will continue driving for a very long time. 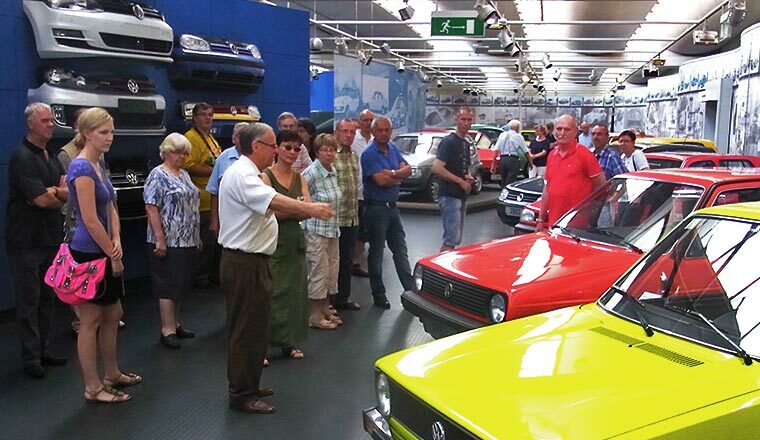 Automobile enthusiasts clubs visit AutoMuseum. Two very different car clubs visited AutoMuseum at 15th June. 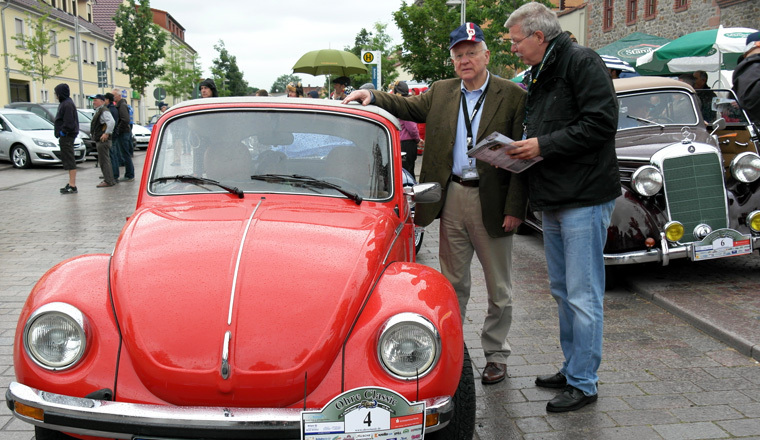 The first enthusiasts were the “Oldtimer friends of region Wolfsburg/Braunschweig” with Volkswagen Beetles, Mercedes 170 S etc. The other club were Polish-German enthusiasts of modern Ford Mustang V8 cars. AutoMuseum exhibition car at Ohre Classic. 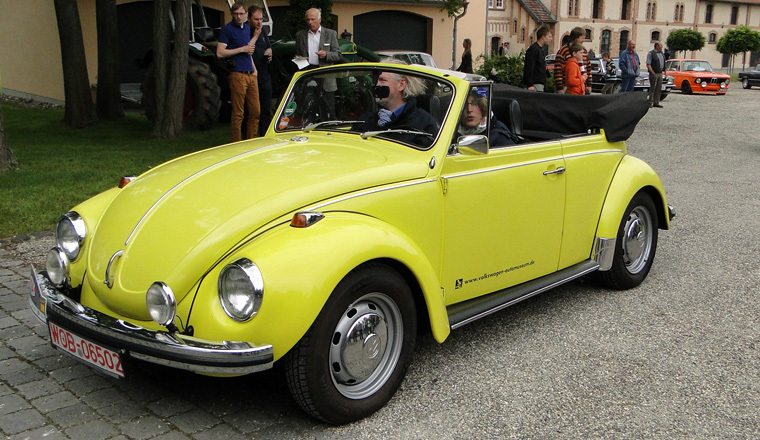 AutoMuseum joined the well-known Saxony-Anhalt classic car rally “Ohre Classic” with a Beetle 1303 Convertible. The driver was Minister of Agriculture, Dr Hermann Onko Aeikens. His colleague, the Minister of Interior Holger Stahlknecht, was the co-pilot in a Mercedes Convertible. 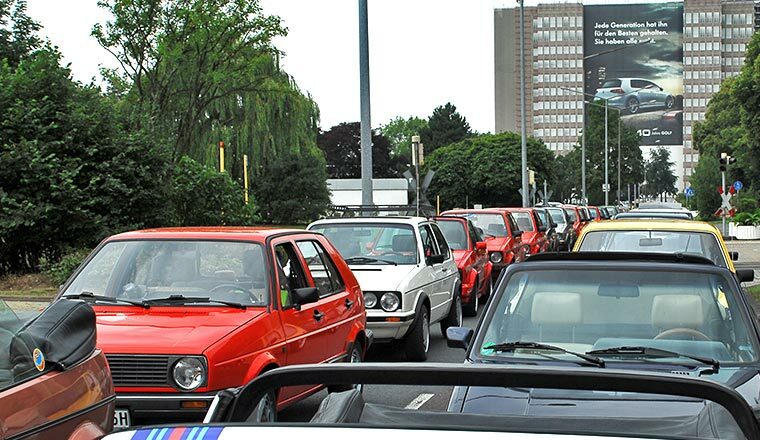 Around 80 cars – from BMW AM3 till Melkus RS 1000 – completed the 70 km drive. 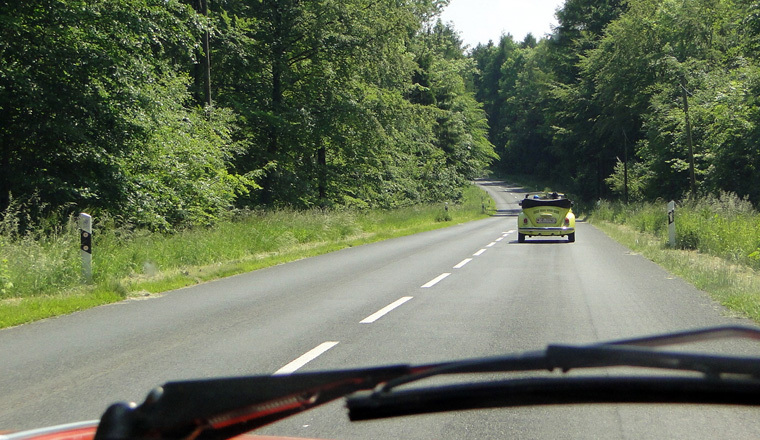 Highlights included the drive at the "Mittelland-Kanal" parkway and the drive entering the Magdeburg Zoo. 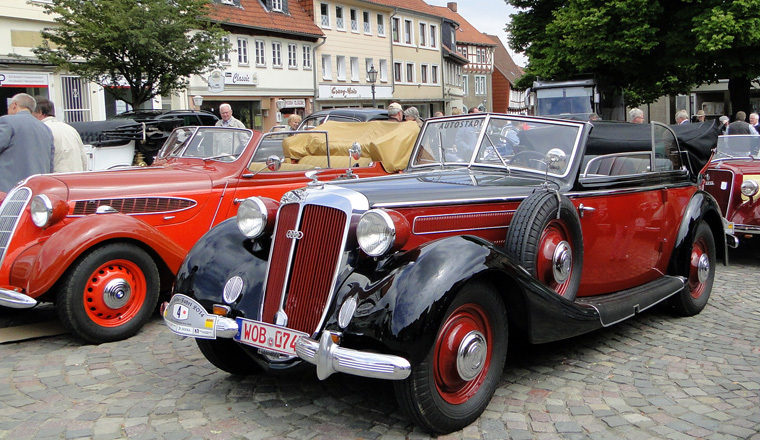 Harz-Heide-Drive is a famous classic car rally around Braunschweig sponsored by AutoMuseum for many years. 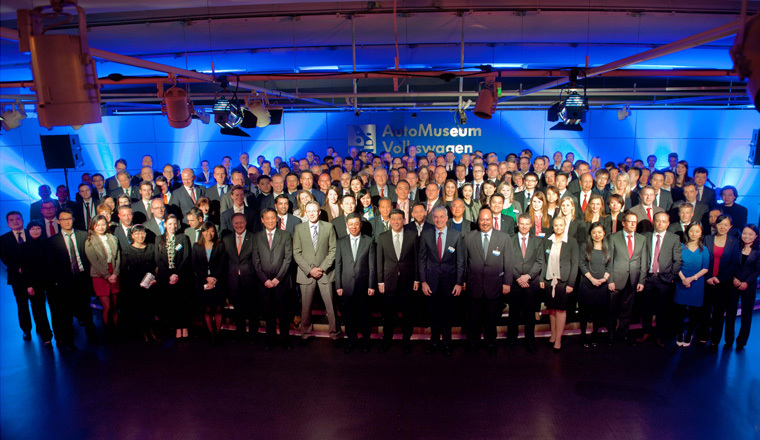 AutoMuseum contributed a 1302 Convertible and a 1303 Convertible as automotive participants. 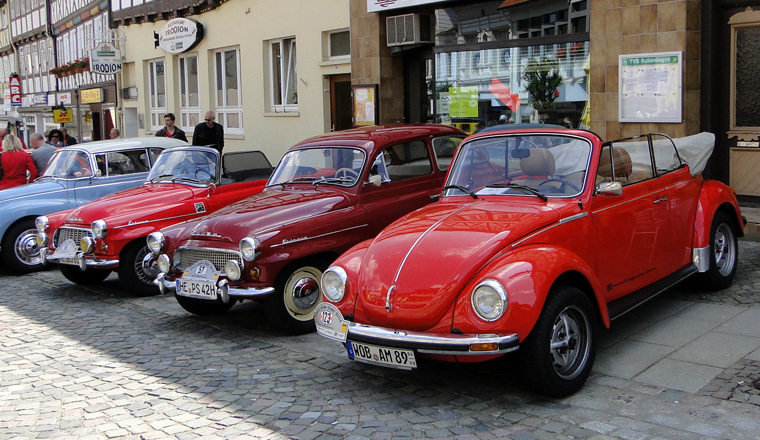 Highlights during the 150 km drive included the picturesque city center of Schöningen close to the former East German border, where Mayor Henry Bäsecke welcomed the classic car friends. 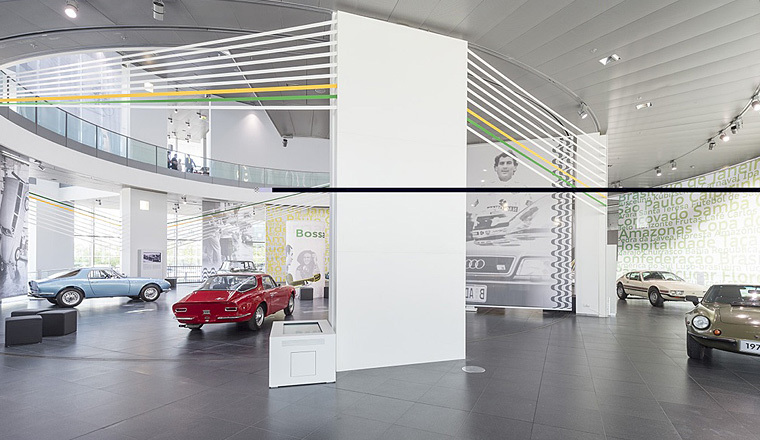 Audi Museum Mobile in Ingolstadt opened its exhibition „Ordem e progresso“ (Order and Progress) regarding the history of DKW in Brasilia during the 50/60ies. The country’s economy was doing well and cars were visible sign of prosperity. 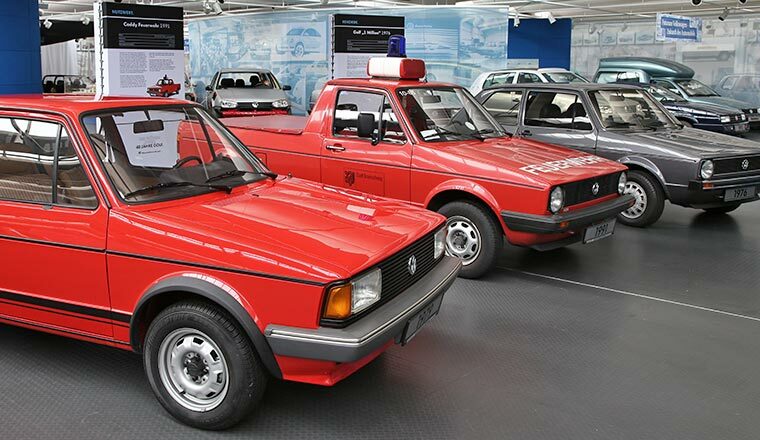 VEMAG in Sao Paulo produced and distributed Brazilian made DKW cars, such as GT Malzoni and DKW Belcar. 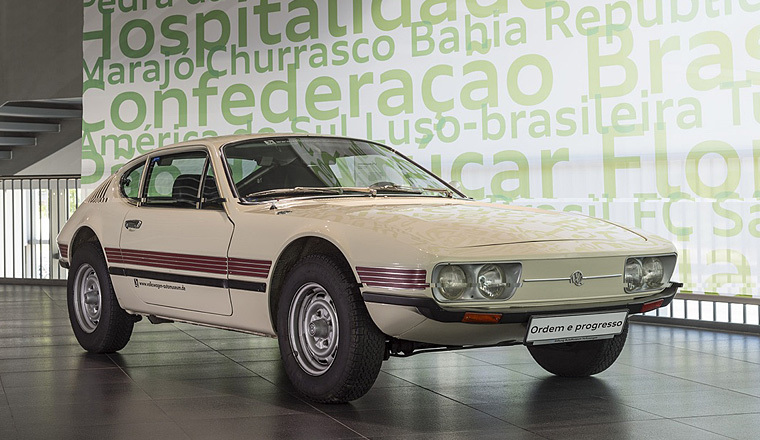 AutoMuseum sent three exhibits to Ingolstadt – SP2, Puma and EA 97 (predecessor of VW Brasilia). 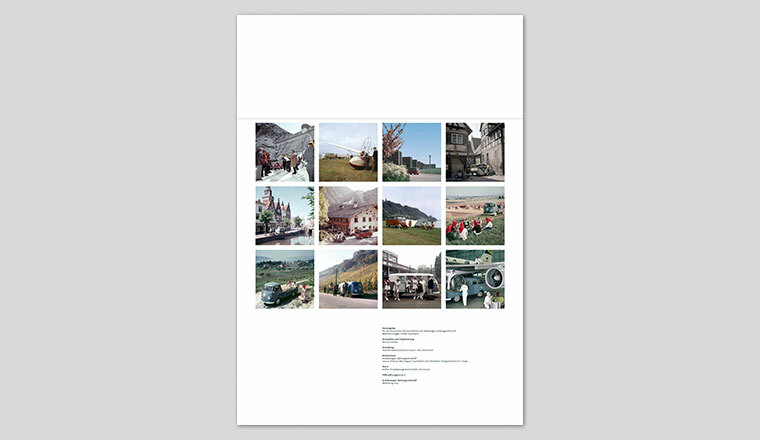 The exhibition will continue until 21 September 2014. 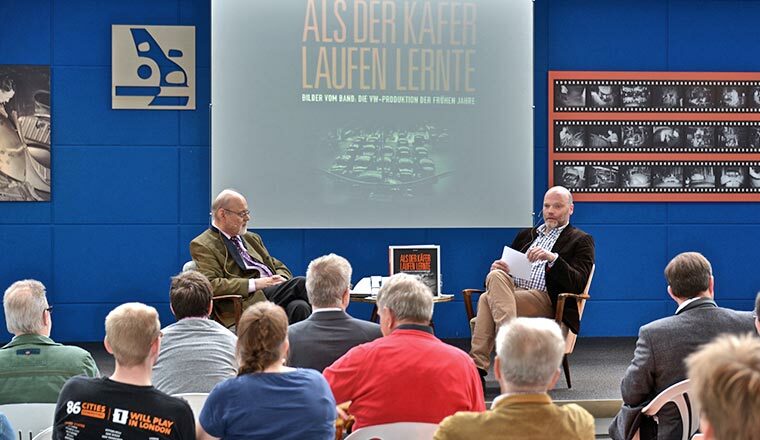 As part of the special exhibition entitled ‘When the Beetle found its feet’, a talk was held at the Volkswagen AutoMuseum with the author of the book of the same name, Dr Bernd Wiersch (on the left in the picture), and Christian Ludewig, press spokesman from the Delius Klasing publishing house (right). Sitting on armchairs dating back to the 1950s, the pair not only chatted about Beetle production, but also provided an insight into the post-war reconstruction of the factory by the British, the growth of the city and the technological development of the Volkswagen factory, which, even then, was very active. 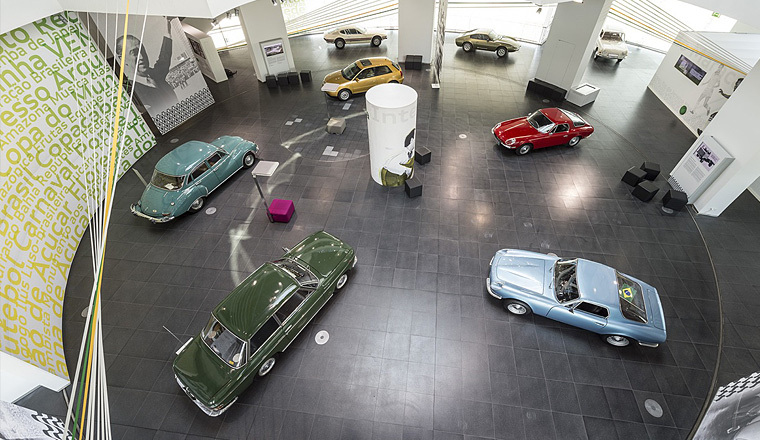 The hundred or so visitors to the international museum day took their seats at the Automuseum fittingly surrounded by the Beetle models of the era as well as prototypes. Afterwards, there was still plenty of opportunity for the Beetle fans in attendance to have their books signed by Bernd Wiersch. 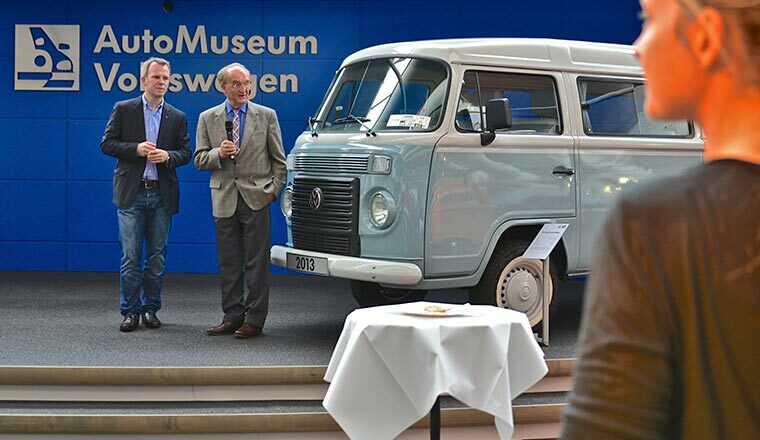 Gustav Mayer, head of development at Volkswagen for many years and ‘father’ of Volkswagen Commercial Vehicles, paid a visit to the Volkswagen AutoMuseum to see a remarkable vehicle – a T2a all-wheel-drive conversion by Jörg Gebhard. 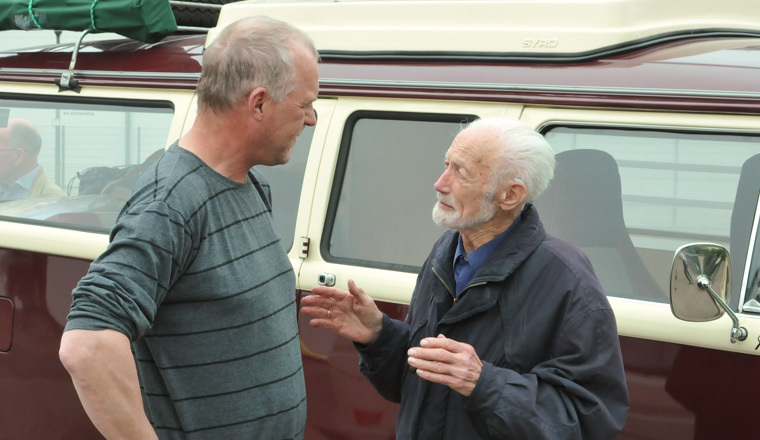 Mayer’s former engineer Henning Duckstein was also not going to miss out on this special automotive encounter. 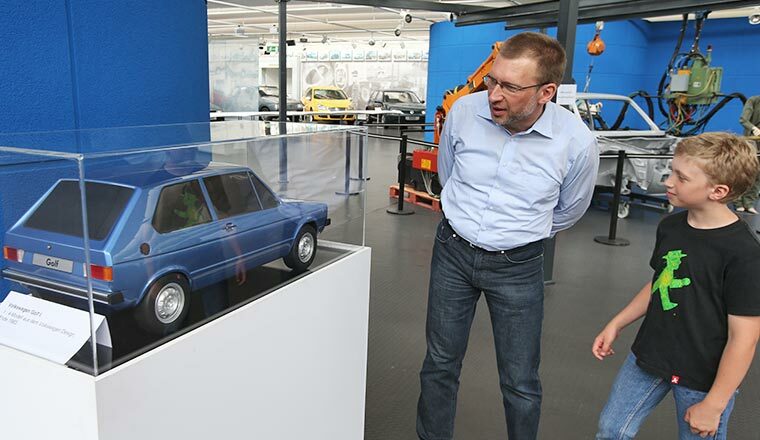 In 1975 the pair built the T2b all-wheel-drive model, even though no official development assignment had been commissioned – the prototype is now on display at the AutoMuseum. 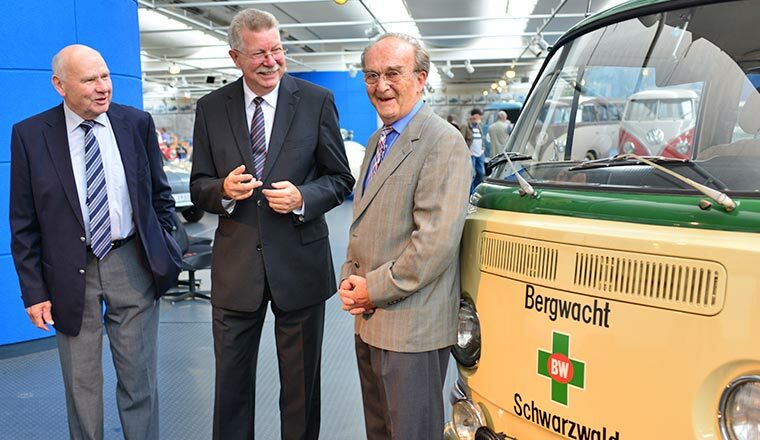 It goes without saying that the two pioneers of all-wheel-drive vehicles couldn’t wait to see Jörg Gebhard’s T2a all-wheel-drive conversion on display in Wolfsburg. Their verdict was extremely positive: ‘a very professional job’. 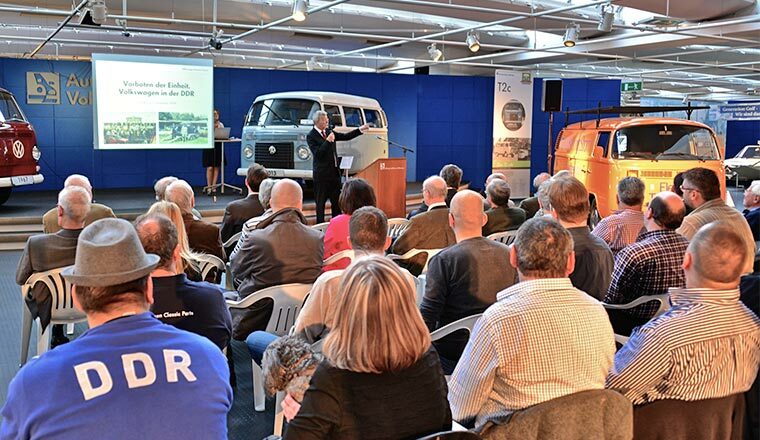 Classic car seminar for the ADAC. 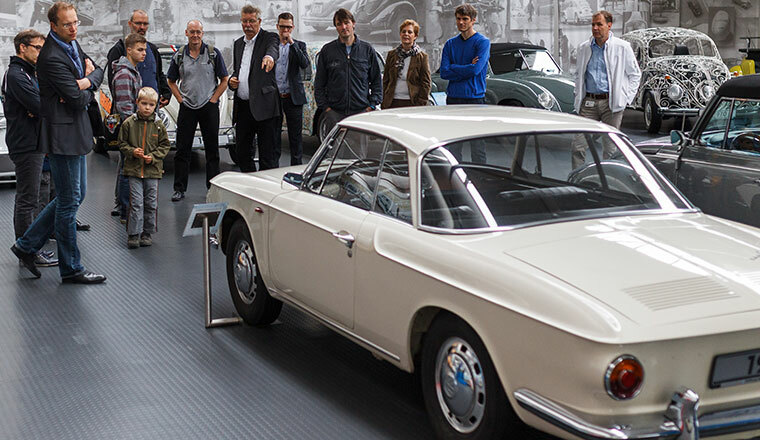 Around 30 vehicle experts from the technical division of the ADAC came to the Volkswagen AutoMuseum as part of a classic car seminar to talk about the special aspects associated with assessing collector’s and classic vehicles. 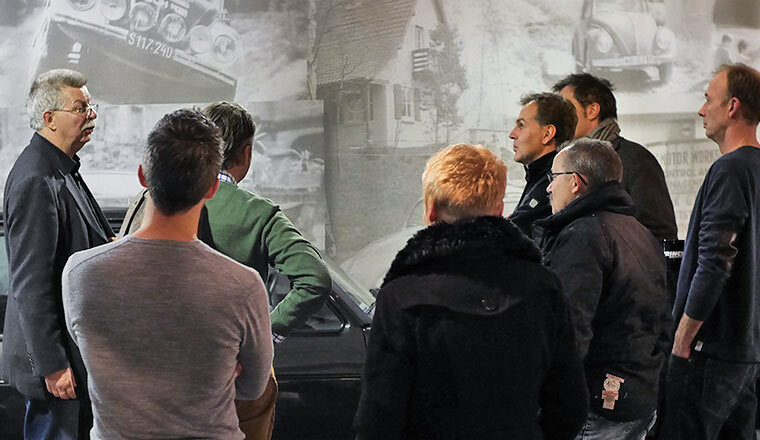 Martin Stromberg, managing director of the expert website Classic Data, gave a series of special lectures and Eberhard Kittler showed the guests around the Volkswagen AutoMuseum. 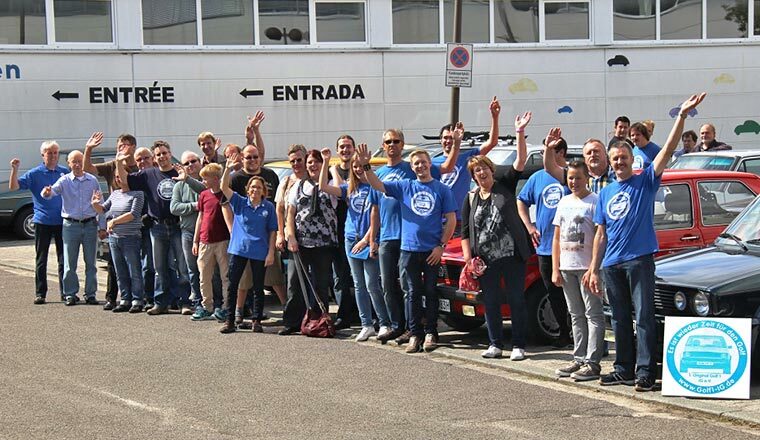 The fact that the delegates were passionate about attending soon became clear when they arrived: many of the ADAC experts drove up in their wonderful classic cars. South East Asia in Wolfsburg. Everything was set for a pleasant evening, with tables decked out in white and various culinary delights: on Tuesday the Volkswagen AutoMuseum was transformed into an automotive ballroom on the occasion of the in-house Volkswagen Open Days, to which around 300 sales staff from the South East Asia region came. 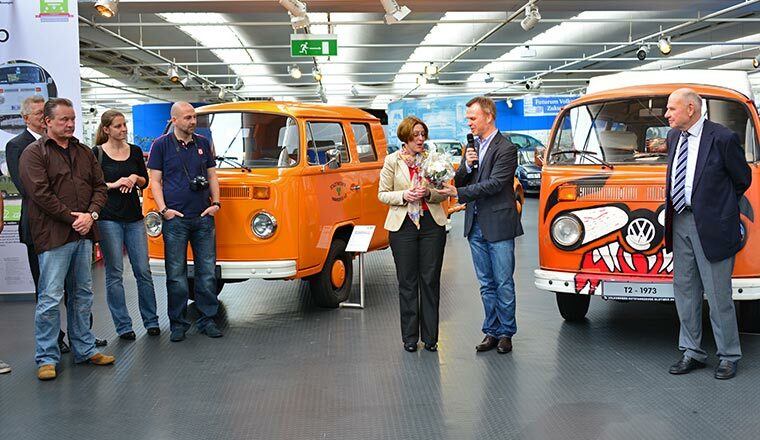 It goes without saying that the classic Volkswagens also went down very well: Susanne Wiersch and Eckberth von Witzleben from the Volkswagen AutoMuseum showed the guests around the various sections and turned fascinating automotive history into a real experience.